Please visit http://www.gomohu.com/product-support to access the manual for your antenna. If you do not see your specific antenna on this page simply send an email to support@gomohu.com and include the COMPLETE name of your antenna and we will reply with the appropriate manual. First and Foremost to get your antenna working you MUST Do a Channel Scan! In order for your antenna to perform you will need to do a channel scan so you can see what channels you will be able to receive. After you connect your antenna to your television a channel scan using your TV's remote is the next step. This step can vary greatly since there are so many different brands of televisions on the market, and no two are the same, you may need to reach out to your specific manufacture for additional assistance. A google search with the brand of your television followed by "customer service number" should locate their technical support number. You may also be able to consult the owner’s manual for more detailed instructions on how to run a channel scan. You will need to run the “scan” function on your television set. This step can typically be located by pressing the "menu" button on your remote and looking for "scan" or "set-up". You will also need to make sure that your television is set to "air" or "antenna" and not cable. The scan can take just a few seconds to several minutes depending on the number of stations that the television is scanning for. Once the scan is complete you should be receiving digital signals through your antenna. Please reach out to the specific television manufacturer or consult your manual if you are not able to get the channel scan to run. Once the scan starts it will look something like this but please remember that all televisions have different set ups and processes. #1 Troubleshooting Issue - Will an antenna work at your location? There are a few ways to figure this out. But remember, any site tool that you use is a "guesstimate" and you may have better or worse results once you actually try the antenna at your location. Many, many things can impact an antenna's reception as you will find if you keep looking through the FAQ's but if you are in a good area for reception it's pretty amazing! We here at Mohu love TV Fool. It seems to be the most accurate tool that we have tried. It can be a little tough to decipher but here are the steps and information on reading a channel scan for your location if you want to give it a try. As always we are here if you need us! Just shoot us an email with your complete address to support@gomohu.com or give us a call at 855-446-6648. Step 1: Enter in your complete address and click "find local channels". Step 2: Review the results to see what signals you can expect to receive. Green indicates what channels you should be able to receive. Please note that if there is a 1Edge or 2Edge in the path column, regardless of the color, there may be reception issues. 1/2Edge indicates a terrain issue. Yellow means more power is needed and that generally means a roof/attic mounted antenna. Red or purple means that there is no usable signal. Distance Miles: Our products each have a distance range that varies from a 25 to a 65 mile range. Make sure to look at the range on the antenna you are interested in before making a decision. Path: this column indicates whether or not the antenna has a clear path to the towers for optimum reception. LOS indicates “line of sight” and must be present for ideal signal reception. 1Edge means some blockages but an amplifier may help OR getting the antenna higher like in a 2nd story window or a roof mounted amp may help. 2Edge means massive blockage and usually means no reception will occur. TROPO means total blockage. Those signals are officially and completely unavailable. Network: Shows the call letters of the customer can expect to receive. NM (dB): This is a measure of overall signal strength and indicates power. Signal strength below 20 will not be consistant if it is received at all. 39 or higher for all indoor antennas. 20 or greater for the Sky 60. UHF/VHF: To determine if a signal is transmitting in VHF look in the "Channel" column called “Real”. If the number in the “Real” column is numbered 2-13 then it is a VHF signal with reduced reception range. VHF reception range for our antennas. Roof/Attic Mount Antennas: 45 mile Vhf range. All Channels Radius: The All Channels radius will show which way the majority of their signals are coming from for optimal placement of your antenna. The center of the radius indicates your homes location. True north is always the top of the radius. TV Fool Pop Quiz: Which will yield the best results? If you are still confused reach out to Mohu! We are here to help! #2 Troubleshooting Issue - What is your Home Made Of? Many types of buildings can block reception because of the materials used to construct your home/condo/apartment. Stucco and Concrete: Since metal mesh or metal rebar is used in these two construction types for an antenna to work effectively it must either be placed in a window facing the direction of the towers or a roof antenna is needed to get the antenna up and over the blockage. Metals act as a barrier that in essence cages the signals and bounces them around making it almost impossible for the signals to "land" on the antenna. Mobile homes/Aluminum Siding: Again metals reflect and bounce signals. A roof mounted antenna or indoor antenna on the window facing the towers is the only option for this type of home. VInyl siding is ok.
Metal Roofs: The only option for homes with a metal roof is to mount the antenna up and over the roofline so that the signals are not bounced away from the antenna. Radiant Barriers, Foil lined conduits/ductwork, Foil Heat Shields, Solar Panels: All of these things will effectively block signals so if these are present in your attic a roof mounted antenna would be necessary. # 3 Troubleshooting Issue: Snowy, Blue or Black Screen? So you connected your new antenna and all you see is a snowy, blue or black screen? You may have a TV that is not compatible with a digital antenna and need a digital converter. The first thing you need to know is the age of your TV. If it was made prior to 2009 you will most likley need a digital converter. If you aren't sure when your TV was made you can find out a few ways. Look in your TV's manual. Google the make and model of your TV and locate a manual you can download. Contact the manufacture of the TV and give them the model number and they can advise you. What you are looking for is reference to a "digital" or "ATSC" tuner. This indicates that your TV has the needed tuner to work with an antenna. If you see NTSC however, it is not digital signal ready and a converter is needed. Most big box retailers that have an electronics department will stock digital converters. #4 Antenna Troubleshooting Issue - Which Way Are the Signals Coming From? While our antennas are multidirectional it helps immeasurably to have the flat face of the antenna pointed in the direction of the towers so that the signals have as much surface to "land on", so to speak, as possible. While the sides of our antennas will pull in signals it's a pretty small area for signals to try and "land". Think of an antenna like a tennis racket. You COULD use the sides of the racket to hit the ball but you'd have much more success using the webbing as the designer had intended. Many site tools will allow you to enter in your complete address so you can get a general idea of which way to point your antenna. Always use your complete address so that the information is specific to your location. Even a move of a few inches can make a huge difference with reception. 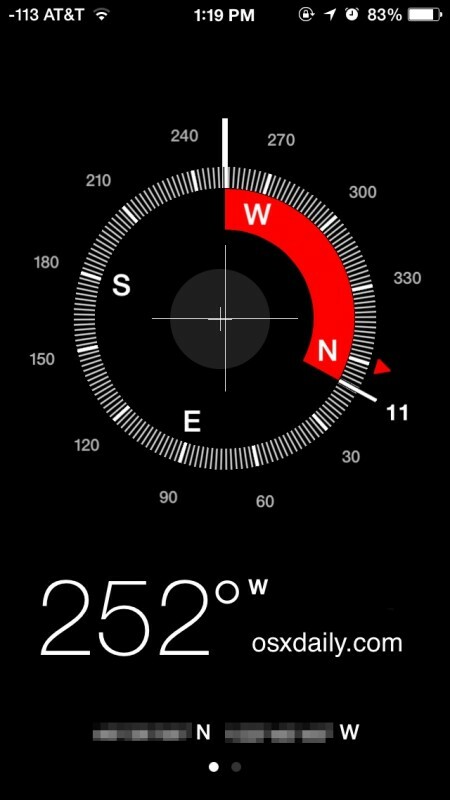 Most cellular phones have a compass app that will allow you to find the exact placement for your antenna. Or if you're old school you can use a real compass! So what do you do when you have that one signal that is positioned so that you just can't get the flat face of the antenna pointed in a way that will get them all? Unfortunately, that can be the one downside of using an antenna. When all the signals are coming from one direction with the exception of one the best thing we can suggest is to try several different placements until you find the one spot that yields the best results for your location. In some cases you may not be able to pull in a signal based on the direction it is coming towards you. Finding the "sweet spot" or as close to it as possible is key in obtaining the best reception possible. ALWAYS remember to run your channel scan with EVERY move of the antenna no matter how slight. This is one of the most overlooked instructions that we deal with when customers are setting up their antenna. #5 Troubleshooting Issue: Locating the "Sweet Spot"
"The point or area on a bat, club or racket at which it makes the most effective contact with the ball." When you get our antenna you will need to find the “sweet spot” or perfect placement for your antenna to get the best reception. You can't just toss it up and hope for the best you have to put in a little effort to ensure that you find the location that yields the best reception results. If you think of the antenna as a tennis racket you know that you make the best connection when you hit the ball with the string of the racket and not with the sides. Same thing applies to antennas no matter what anyone tells you. If this does not help you perform a channel scan a google search with the brand of your television followed by "customer service number" should locate their technical support number. You may also be able to consult the owner’s manual for more detailed instructions on how to run your channel scan. If you run the scan and get a snowy, blue or black screen click HERE. Many of the newer TV's on the market are being made with no coaxial port and/or no digital tuner. This trend is because many people have discovered the joys of streaming content either through their new "smart" TV or using a streaming device so who needs a coaxial port or digital tuner? Well...people that use antennas do! If you aren't sure if your new TV is compatible with an antenna you'll need to reach out to the manufacture or look in the manual. Two things are needed for antenna use... a coaxial port and an ATSC/digital tuner. If you discover that your TV is missing the things needed to use an antenna all is not lost. In order to use a TV missing the needed elements you can purchase a digital converter box. This allows you to connect your antenna to the television AND they have built in tuners also. A digital converter box connects to your TV via HDMI or other means (make sure you know which connection you need before you buy) and allows the TV to receive digital TV signals. A digital converter box is a one-time purchase with no monthly fees. One converter box is necessary for every TV that doesn't have a built-in digital tuner and that receives its signal over the air with an antenna. Congratulations on the new TV but you need one more thing to pull it all together. A digital converter box. You betcha! ALL of our antennas are 4K, Ultra HD compatible. What is 4K you ask? The 4K TV is an emerging technology that has a resolution of 3,840 x 2,160 pixels, 8 million pixels in total, and that is four times the number of Full HD (1,920 x 1,080). You can enjoy the crystal-clear clarity of 4K TV by sitting as close as possible to the screen. In order for 4K TV sets to render the full 4K experience, content needs to be delivered in 4K. The problem with that is that not a lot of it exists yet. Netflix is the current leader in providing 4K content. There are also a few TV shows, movies, and documentaries available as 4K content if you are willing to search for them but our antennas are READY for the 4K revolution....once it starts! "But it works for my neighbor right next door?" Many things can impact an antenna's performance from where you have it positioned to what your home is made of. A team member here at Mohu gets 38 channels at their brick home with asphalt shingles (no metal at all) while their neighbor across the street gets 57 channels AND they have a metal roof?! It's all about location, positioning and available signals for an antenna to be successful. We figured out that in our team members situation there is a slight rise where the neighbor's home sits giving the roof mounted Sky 60 about 10 - 15 more feet of height thus better reception is obtainable. Things to think about when your neighbor gets a better signal than you. Are you both using the exact same antenna? Did they add different type of coaxial cable or a different amplifier? Any other modifications so to speak? Is your home located "behind" their's and could their home be blocking the signals? Is their home located higher than yours? Often a few inches can make a huge difference with reception. Do you know which direction the towers are coming from and is your antenna facing the right direction for optimal reception? Do you have a home that is actually causing the signal to be diminished because of the building materials used to construct the home? Check out this "Building Material" link for more information on that topic. Have you tried the Amp Test if you are using an amplified antenna? Hopefully you'll be able to find just the right spot for your antenna and will get signals that will make your neighbor jealous! "But it's totally flat around my home, how can there be a terrain issue?" Just because you look out your window and see nothing but flat land for miles that doesn't mean that there isn't something that could be block your signal from reaching you. Since television signals do not go through terrain blockages, but rather hit the object and stop or are deflected in another direction, a slight rise in the landscape miles away from you can wreak havoc on reception. "My neighbor on the other side of the condo/building has an antenna that works great!" Many apartment and condo dwellers find that cutting the cord can be a little tricky IF conditions aren't just right for reception. Building Material Blockage - Part 1: Stucco, concrete, metal awnings, fire escapes, metal molding, all of these things can impede reception so an antenna would need to be in a window in order to have a chance with these conditions. Which brings us to building blockage. Building Material Blockage - Part 2: Many apartment or condo dwellers find that the higher the unit the better the reception. This is all dependant on the signal strength in the area and the location of the unit in relation to the transmitting tower. If the signals are transmitting to the south side of your location but you only have a window that faces the opposite way you may not get as many signals as you would with a southern window placement. The signals are weakened because they have to travel through the building materials to get to the antenna and often will not be obtainable. In some apartment/condos customers get many channels in one side of the unit and little to no channels on the other side. When possible placing the antenna in a window that is facing the direction of the towers for optimal reception chances. This theory is true with any location where you use an antenna. We have some customers that get tons of channels with an indoor antenna on one side of their home but only a few using the exact same antenna on the opposite side of their home. When there isn't a clear line of site to the towers, and the signals have to work their way through building materials, it can be very difficult to have perfect reception success in both locations. "I don't know which side of the antenna I should use. Black or white?" It doesn’t matter which side of the Leaf model antenna faces out if you are using it on an interior wall. We only suggest that if you are using your Leaf antenna in a window that you face the white side out since the white will reflect the sun’s rays where the black side will absorb them and potentially cause the antenna to curl. If you live in an extremely warm area you may want to secure all 4 corners of the antenna to the window you are using it in if possible. My TV does not have a coaxial connection? Many of the newer TV's on the market are being made with no coaxial port and/or no digital tuner. This trend is because many people have discovered the joys of streaming content either through their new "smart" TV or using a streaming device so some manufactures are ditching the coaxial connection all together. All is not lost. In order to use an antenna with a TV missing the needed coaxial port you can purchase a digital converter box. The converter box allows you to connect your antenna to the television AND they have built in tuners also. A digital converter box connects to your TV via HDMI or other means (make sure you know which connection you need before you buy) and allows the TV to receive digital TV signals. A digital converter box is a one-time purchase with no monthly fees. One converter box is necessary for every TV that doesn't have a built-in digital tuner and that receives its signal over the air with an antenna. Digital converter boxes can be purchased at most big box retail stores, electronics stores and online. Please click the link below to access the AirWave manual. Place AirWave in the best spot in your home for an over the air TV signal. Connect the AirWave to your home network. Watch Free live, local and streaming television on compatible streaming devices with the Mohu TV App. Mohu TV is still under development for some Smart TV's. Please check gomohu.com/apps often for updates on platform compatibility. AirWave - What comes in the box? *Antenna shape vary depending on package purchased. Connects the Antenna to the Power Bridge. Connects the Power Bridge to your router. Not required if connecting AirWave to your home network over Wi-Fi. Allows you to connect to WiFi wirelessly. If you have a weak Wi-Fi signal, or if your Wi-Fi router uses only 5GHz, you may need to connect your AirWave Power Bridge directly to your router using the included ethernet cable. If you have a strong Wi-Fi connection, it is more important to place your AirWave where the antenna will perform best than to be connected directly to your router. Do not use other antennas or cables, as these may cause the device to malfunction. Very Important: Your AirWave will not function properly without fully completing the Setup Portal steps. Mohu TV is not searchable in the Roku Channel Store. Go to gomohu.com/apps to get the link to the channel/app. Once you’ve added the channel, you may need to perform a system update on your Roku device for the app to show up in your channels list. Mohu warrants our products against defects in materials or workmanship for a period of one (1) year from the date of purchase. During this period, the products will be replaced or repaired at no charge. This warranty does not cover damage due to acts of nature, commercial use, accident, misuse, abuse, or negligence. This warranty is valid only in the USA and Canada. There are no implied warranties of merchantability or fitness for a particular purchase except to the extent that implied warranties of either sort are required by applicable law, in such case, each warranty is limited in duration to the one year. Why do I get “Error Registering Device” or an error with the passcode? Future AirWave features may require a passcode in order to function properly. For now, the screen requiring users to input a passcode to connect has been removed completely. Please update your app to clear this error. Why are there issues with using laptop/desktop browsers to do the AirWave setup? We recommend using a tablet or smartphone for setup. We have tried for compatibility with as many browsers as possible, but there have been some reported issues especially on Windows machines. How do I connect my existing AirWave to a new Wi-Fi network? If your AirWave is connected directly to your router via Ethernet, disconnect it. Press and hold the reset button on the bottom of the AirWave Power Bridge for 7 seconds. This should reset the Wi-Fi settings and turn the AirWave access point back on. From your computer or mobile device, connect to the access point (“airwave-[serial]”) just like you would any other Wi-Fi network. Then follow the setup steps to configure the AirWave to the new Wi-Fi network. I am unable to detect AirWave’s access point (“airwave-[serial]”) in my available Wi-Fi networks to complete the initial setup. What should I do? First try turning your setup device’s Wi-Fi off then back on. See if the “airwave-[serial]” network appears. If it does not, disconnect your AirWave from your router if it is connected, then press and hold the reset button on the bottom of the AirWave Power Bridge for 7 seconds. Try turning your setup device’s Wi-Fi off and back on once more, and see if the “airwave-[serial]” network appears. If you are still having issues, please contact Mohu Customer Support. Depending on your location, you can potentially receive over-the-air networks including ABC, CBS, FOX, NBC, PBS, The CW, Univision, and more. To see which channels should be available in your area, visit www.gomohu.com/airwave-channel-scan. AirWave also includes a selection of free over-the-top streaming channels. The selection of OTT channels will continue to expand. Why don’t I receive the channels I want? Channel reception will vary based on what is broadcast in your area, your distance from broadcast towers, and any geographical obstructions between you and the towers. Where can I find the app for Roku? Apple TV? Amazon Fire TV? iOS? Android OS? You can find the Mohu TV app for your device by searching for “Mohu TV” in your device’s app store*, or visit gomohu.com/apps. *Roku customers please visit http://www.gomohu.com/apps for the link to the Mohu TV link as it is not searchable on your Roku device at this time. Why aren't I receiving over-the-air channels? Make sure that you entered in your zip code (step2) and scanned for channels (step 3) in the settings menu. You may need to reposition your antenna. Remember that antennas work best when they are close to a window that faces the direction of the towers. Try repositioning the antenna and running the channel scan to see if the issue is resolved. You may be in an area where the signals are too weak to be pulled in by the AirWave. You can try repositioning the antenna but also check to see if you are within the 30 mile range of the antenna by entering in your complete address at http://www.gomohu.com/tv-for-free-front/. My Over-the-Air channels are choppy or the audio cuts in and out. Can I use a different antenna with my AirWave unit? NO! Do not connect another antenna to the power brick. The ClearPix technology that was designed to improve reception the brick actually sends current up and into the antenna which allows the antenna to respond to over-the-air signals and adjust to them in real-time, automatically improving image reception. Using an antenna other than the one (pictured below with the green check) that is included in the AirWave packaging will result in damage to the antenna (voiding the warranty). I can't access my AirWave content on other devices. Make sure your devices are connected to the same wifi network and subnet as your AirWave device. Also make sure you have added the Mohu app to your other devices. I bought a first-generation AirWave when it was originally released. Will it work like the AirWave version on sale now? I find information on software updates? Yes! Just make sure and update the Mohu TV app on your streaming devices and update the AirWave firmware from the “Settings” menu in Mohu TV. Can I add an amplifier to my AirWave to boost the signal? NO! An amplifier should never be connected to the AirWave. It will blow the amplifier and potentially damage the AirWave unit also. Damage from adding an amplifier is not covered by the warranty. What should I do if the Mohu App is unable to find my AirWave during the setup screen? If you have not yet completed the initial setup portal, where you connect your AirWave to your home network, please visit www.gomohu.com/setup/airwave and follow the setup steps. How many devices can I connect to one AirWave device? The number of devices that can be connected at once to the AirWave is dependent on the wifi strength in your home. I can't select a channel from the guide. If you are able to click up and down on the channel guide but are not able to select a channel to view please reboot your AirWave. Chances are it is not an app issue and rebooting the device will resolve the issue. On the bottom of the bridge there is a small gray rectangular button that will allow you to reset your device. When a reset is done any information that was saved will be lost. To restart: Press and hold for approximately 7 seconds. Why won't a DVR work with the AirWave? With only one USB port the allows for the wifi connection on the current release there is no way to add the DVR capabilities at the moment. Black Screen with Clock Face? What does that mean? If you are getting a black screen with a gray clock face that can indicate a couple things. Will the AirWave work with Playstation or Xbox systems? For the initial release the AirWave will not work with Playstation or Xbox systems. Unfortunately Vizio Smart TV's will not currently work with the AirWave device as Vizio does not any outside source Apps to your Vizio TV, Vizio has what you call SmartCast . SmartCast has it’s own lineup of Apps such as Youtube, Netflix, YuppTV, Baebl, Crackle, Flickr, Ultraflix, Amazon, Popcornflix, Accuweather, iFoodTV, Big Star Movies. Many Smart TV providers do not allow outside sources to access their operating systems in order to develop apps. The dongle allows the unit to connect to wifi and should not be removed. The bridge is the processor for the AirWave device. If you are having connectivity issues with your Fire TV please try restarting our Fire TV device then reconnecting the AirWave. There is a chance that the Fire TV's IP Address is not locating the AirWave unit. Canada - Will the AirWave work? The AirWave will work in Canada as long as you are in a good location to receive ota signals. Can I connect ANY antenna to the Power Bridge? You can use other antennas with the AirWave's bridge but you MUST use a voltage blocker to do so. The AirWave antenna head is powered by the bridge and power is sent from the bridge to the antenna. Using a voltage blocker will keep the signal from reaching your antenna and thus avoid potentially damaging it. Can the AirWave Antenna connect directly to my TV? AirWave is specifically designed to work with the Power Bridge to stream OTA signals to compatible streaming devices. Can I stream to multiple devices at the same time? AirWave is a single-tuner device, which means only one channel can be streamed at a time. However, multiple devices can stream the same channel at the same time. Can I stream outside of my home network? No, AirWave is solely intended for use on your home network. Does this have DVR or time-shifting? AirWave currently does not have DVR or time-shifting capabilities. What’s the antenna mileage range? range and approximately a 10 mile VHF range. You can visit TV FOOL to see your exact distance from the towers. Please enter in you COMPLETE address for the most accurate scan. This needs to be 30 miles or less for UHF signals or 10 miles or less for VHF signals. Can I put AirWave in my attic? Outside? It is recommended that you place your AirWave in a climate-controlled environment, avoiding extreme temperatures, with a clean Wi-Fi signal. Do not place any AirWave components outdoors. What are the network requirements for AirWave? AirWave is compatible with 2.4 GHz Wi-Fi or wired ethernet connections using the supplied ethernet cable to connect directly to your router. How do I connect to multiple streaming devices? Once AirWave is set up on your home Wi-Fi network following the initial setup instructions on your first streaming device, you can download the Mohu TV app to any other compatible device that is connected to your Wi-Fi network. When you open the Mohu TV app on additional devices, perform a scan for AirWave units on your home network and connect to the AirWave you already registered with another device. Both devices will be able to control your AirWave. AirWave is specifically designed to work with the Power Bridge to stream OTA signals to compatible streaming devices. Results are not guaranteed when using the AirWave antenna directly connected to your television. You can also visit http://www.gomohu.com/product-support to access the manual. Please click the link below to access the manual for the Mohu Mini/Metro antenna. Please follow this link to access the product manual for the Leaf 30. Please follow this link to access the product manual for the Leaf 50. Please follow this link to access the product manual for the Leaf Glide. The Metro is our smallest antenna but it still delivers a punch! Great range in a small package! To place an order for a Leaf Metro visit www.gomohu.com or call 855-446-6648 to talk to a Mohu Sales and Service Specialist (M-F 8am - 5pm EST). Our Metro/Mini antenna is about the same size as a sheet of paper folded in half the long way. 11.5 inches wide, 4.5 inches tall and about 1/16 of an inch thick. Please click the link below to access the manual for the Mohu Basic 50 antenna. 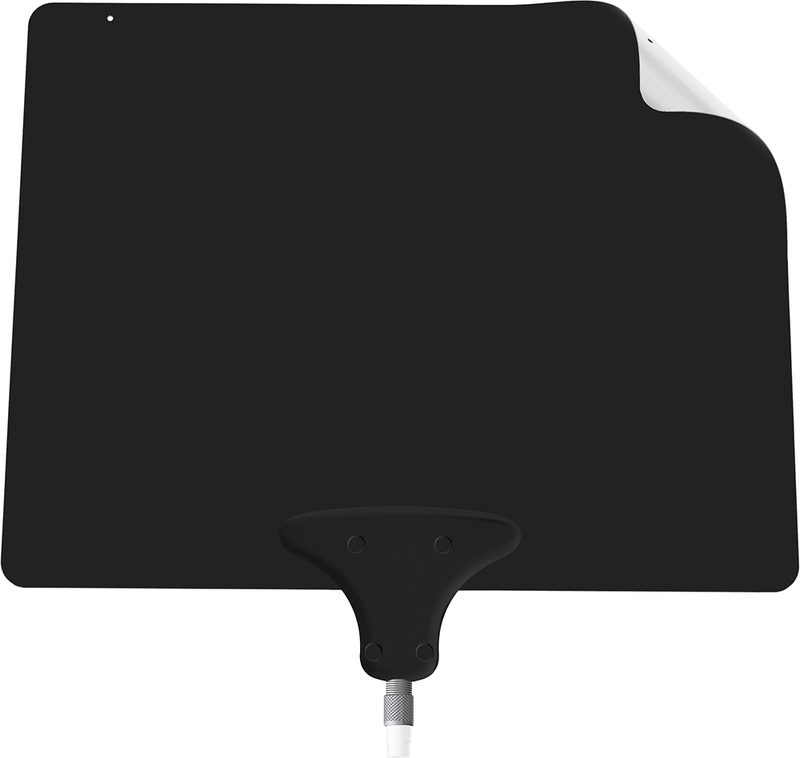 The patented Leaf 30 and 50 indoor TV antenna is a paper thin antenna that connects to your TV and mounts on the wall, behind a picture, or just about anywhere to enable you to receive free over-the-air (OTA) broadcasts. The Leaf 30 reaches a 30-mile radius while the Leaf 50 reaches a 50-mile radius. Both antennas are multi-directional. To place an order for a Leaf 30 or 50 visit www.gomohu.com or call 855-446-6648 to talk to a Mohu Sales and Service Specialist (M-F 8am - 5pm EST). Our Leaf 30 and 50 antenna is about the same size as a sheet of paper. 11.5 inches wide, 9 inches tall and about 1/16 of an inch thick. The Glide is our largest indoor antenna yet! To place an order for a Leaf Glide visit www.gomohu.com or call 855-446-6648 to talk to a Mohu Sales and Service Specialist (M-F 8am - 5pm EST). The Leaf Glide measures 21.5 in x 11.5 in x .04 in. Please follow this link to access the product manual for the Curve 30. You can also visit www.gomohu.com/product-support to access the manual. Please follow this link to access the product manual for the Curve 50. Please click the link below to access the manual for the Curve Plus antenna. The patented Curve 30 and 50 HDTV antenna propels antenna design to new heights with a clean and graceful arched structure reminiscent of popular smartphone docking stations. The curve was created for consumers who want access to free over-the-air (OTA) HDTV in their homes but desire a unique, designer feel and modern look. To place an order for a Curve 30 or 50 visit www.gomohu.com or call 855-446-6648 to talk to a Mohu Sales and Service Specialist (M-F 8am - 5pm EST). The Curve 30 and 50 antennas measures 12 inches wide, 8 inches high and about 2.5 inches deep. So you're ready to cut the cord, but worried about finding the right antenna. Mohu has you covered with our new Risk Free TV program. Get a great deal on this Mohu Basic 50 antenna, and if you need more range, you’ll receive full credit toward the purchase of a higher performing antenna. No need to return your trial antenna. Need a low cost, no-frills content solution for your TV? The Mohu Basic 50 antenna enables access to free over-the-air channels without any monthly fees. Basic 50 offers powerful performance by adding patented amplifier technology, resulting in a much clearer picture than cable or satellite. And the best part! This antenna is Risk-Free TV Eligible: If you need an antenna with more range, you'll receive full credit toward the purchase of a higher performing antenna! Can I use my Leaf/Curve antenna outside or in an attic? The only antenna that we make that is specifically for outdoor use is the Sky 60. Our Leaf and Curve antennas not designed to be exposed to the elements in any capacity. Our Leaf and Curve antennas are not waterproof or weather resistant so using them in a location that would expose them to the elements would cause the antenna to fail. They are also not made to withstand the heat and humidity that can occur in an attic. Using in an attic will cause the Leaf antenna to curl and will ultimately ruin the antenna. Top Image: antenna used in an attic. Bottom Image: antenna used outdoors. Using any Leaf or Curve antenna in a location other than in a normal climate controlled indoor setting may void the warranty. Can I use a splitter to connect my Leaf/Curve to more than one television? We recommend that you use only use one Leaf or Curve antenna per television. When you add a splitter that divides the received signal strength between each television which may mean that you may not get all of the channels you would get otherwise. Our Sky 60 roof/attic mount antenna is robust enough to support multiple televisions and can work through your home's existing coaxial network. *Please note that in some locations an indoor antenna may possibly be able to support splitting to more than 1 TV. We suggest that you test this with your indoor antenna to see if it will work in your area. Each time a signal is split to another TV the signal becomes weakened by 1/2. Historically indoor antennas are not always able to send signals to more than one TV because in some locations the signal strength just will not support this. 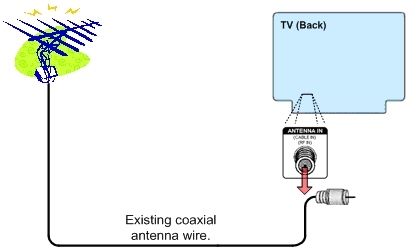 Testing at your specific location is suggested to see how the antenna will perform when connected to more than one TV. Can I paint my Leaf/Curve antenna? Our indoor TV antenna is not only small and easily hidden, but it is also a decorating opportunity! Because of its sleek design, the indoor TV antenna can be effortlessly concealed behind a picture, plant, or just about anywhere, and still allow you to receive over-the-air broadcasts in full HD. Whether your antenna is being used in an elegant living room, a decked out man cave, or a child’s playroom, there are endless opportunities to beautify your antenna. The most popular way to incorporate your antenna into your home’s design scheme is to paint it the same color as your existing walls. By using a multi-purpose latex primer and a few coats of your existing wall color, your antenna will seem about as non-existent as your cable bill! Custom peel & stick decals and decorative duct tape are a great place to start for the less creative or first timers. With so many themes and designs available, there is definitely a style to fit the preferences of anyone in your household. Not only are decals and tape easy to use, but some companies even let you design your own custom pattern! For the artistically inclined, there are an assortment of paint options available. Keep in mind that paint doesn't necessarily have to be applied with a brush. We have found that paint pens are very effective and easy to use. With options such as glossy oil, opaque, Sharpie, and glow in the dark, there are countless ways to make decorating exciting and easy. A great kid-friendly option is to incorporate felt or foam into your design. You can apply a simple, solid color background and then alter the stickers at your leisure. Options are endless with materials such as felt and foam, and you can select your arrangement based on hobbies, holidays, sports teams, family excursions, or whatever suits your mood. Please keep in mind, while the antenna can be decorated and still work proficiently, there are materials that will absolutely compromise its ability to receive over-the-air broadcasts in full HD. Stay away from glitter, “bedazzling”, and anything metallic, such as: metallic paints, aluminum foil, and metal wires or twist ties. Be sure your antenna works at your location before decorating, as it cannot be returned once it is decorated. We hope this information is helpful and encourages you to have fun with your antenna! Which side of my antenna should face out? Black or white? It doesn’t matter which side of the antenna faces out if you are using the antenna on an interior wall. We only suggest that if you are using your antenna in a window we suggest that you face the white side out because the white will reflect the sun’s rays where the black side will absorb them and cause the antenna to curl. If you live in an extremely warm area you may want to secure all 4 corners of the antenna to the window you are using it in if possible. The newest additions to the Mohu antenna family are the Leaf Ultimate 65 and the Leaf Mini 40. Please click the link below to access the manual for the Mohu ReLeaf antenna. The ReLeaf is the first ever recycled antenna! 1080HD and 4K UltraHD Ready. Packaging can be cut to create an antenna holder! To place an order for a ReLeaf visit www.gomohu.com or call 855-446-6648 .to talk to a Mohu Sales and Service Specialist (M-F 8am - 5pm EST). 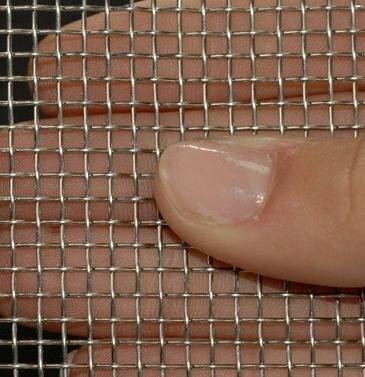 Our ReLeaf antenna is about the same size as a sheet of paper. 11.5 inches wide, 9 inches tall and about 1/16 of an inch thick. Can I use a splitter to connect my ReLeaf to more than one television? We recommend that you use only use one ReLeaf antenna per television. When you add a splitter that divides the received signal strength between each television which may mean that you may not get all of the channels you would get otherwise. *Please note that in some locations an indoor antenna may possibly be able to support splitting to more than 1 TV. We suggest that you test this with your indoor antenna to see if it will work in your area. Each time a signal is split to another TV the signal becomes weakened by 1/2. Historically the smaller indoor antennas are not always able to send signals to more than one TV in some locations where the signal strength will not support this. Testing at your specific location is suggested to see how the antenna will perform when connected to more than one TV. Can I use my ReLeaf outside or in an attic? The only antenna that we make that is specifically for outdoor use is the Sky 60. Our ReLeaf antenna is not designed to be exposed to the elements in any capacity. Since the ReLeaf is made of paper it is not waterproof or weather resistant and if used in such a way that it is exposed to the elements would void any warranty. The ReLeaf is for indoor use only. Which side of my ReLeaf should face out? It totally doesn't matter which side of the antenna is facing out. The ReLeaf is multi directional so both sides should perform the exact same. What is the difference between the ReLeaf and the Leaf 30? ReLeaf™ isn’t just paper-thin, it’s actually paper. We took the same technology and design of Leaf 30 and reimagined it with eco-friendly materials. ReLeaf™ mimics Leaf 30 dimensions and design, but the flat “sandwich” is made from 30% post-consumer recycled paper and the plastic “clamshell” from, well you know by now, recycled and ground up cable boxes. It still comes with a 10-foot coaxial cable and 30-mile digital UHF range and a 10 mile digital VHF signal reception range. Other than the materials made to manufacture the antennas they are exactly the same where performance is concerned. Will there be an amplified ReLeaf available? In the meantime you can add a Jolt Amplifier to your ReLeaf to give it an a 50 mile digital UHF and additional 20 mile digital VHF range. In essence you'd be making your own "amplified ReLeaf" this way. Is the ReLeaf made in the USA? Absolutely. Not only are the materials for ReLeaf™ sourced, processed and manufactured here in the US (much of which originates as close to NC as possible to help reduce our carbon footprint), but ReLeaf™ is also assembled here in Raleigh at our headquarters by our fabulous team of Mohuligans. Can I paint my ReLeaf? Since the ReLeaf is made of recycled paper we do not recomend that you paint the antenna. You can, however, paint our Leaf and Curve antennas so if painting your antenna is a must please check them out! The Sky offers a completely new take on the traditional rooftop or attic mounted antenna. Weighing in at only 3 pounds, the Sky Attic / Outdoor Antenna is a powerful, amplified antenna solution that was developed from research for the United States military. The antenna design is unlike anything that you will find in texts, literature or competitor's products. Similar to the Leaf antenna or Leaf Ultimate, the Sky outdoor antenna is multidirectional and does not have to be constantly readjusted for optimal signal strength. To place an order for a Sky 60 visit www.gomohu.com or call 855-446-6648 to talk to a Mohu Sales and Service Specialist (M-F 8am - 5pm EST). How many TV's will Sky 60 support? In most cases the Sky 60 can efficiently handle 4 TV's however some customers have had success with 6 or more. One thing that you may want to keep in mind is that more TV's you add the more likely that you'll need to invest in an amplified splitter to help boost the signal. You can find these devices on Amazon.com or at your local Best Buy, Wal-Mart, etc. They can cost from $10 - $60+ depending on which you choose. Can I use the Sky 60 with my existing cable or satellite coaxial network? 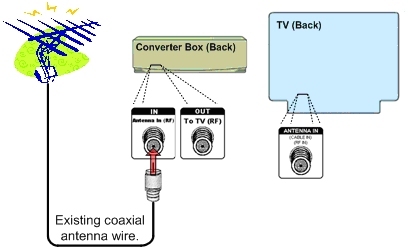 If you have an existing coaxial network sending signal to multiple TV's is easy! First you would need to locate your master hub, usually in the attic, on the rear of the home or in a garage and they often look a little something like this. You would then connect the Sky to the main "in" line, mount the antenna, connect your TV's to the coaxial ports in your home, run the channel scans on each and you should be getting free OTA signals sent to each port in the home. If you don't have an existing coaxial network all is not lost! Here are steps to connect an antenna when using an existing network is not an option. Step 1: Install your Antenna: After you have done your research and know that an antenna will work at your location of course. If you haven't done this STOP before you go any further and check your area! 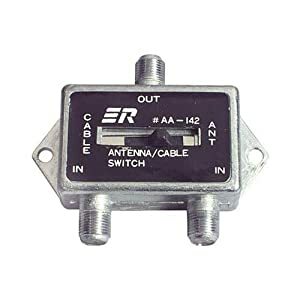 Step 2: Connect the Coaxial Cable to an RF Splitter*: Once you have your Antenna all hooked up, the next thing you need to do is connect a coaxial splitter. This is an inexpensive device that will split your OTA signal into multiple sub-signals, allowing you to push free TV broadcasting to multiple TVs. Worth noting here is that splitting the signal can results is a 50% drop in signal strength (3.5db). Furthermore, every additional split will continue to decrease the overall signals strength. So if you have a weak or marginal signal coming from your antenna, splitting it will have a negative effect. This also means that if you only need a two-way splitter, don’t use a 4-way splitter because you’re losing more signal strength with every unused output. Finally the more distance the signal has to travel, the weaker the signal becomes. So less feet in coaxial cable, means stronger signal, equating to better picture quality. But let’s not get ahead of ourselves; you won’t even know if splitting the signal will cause problem – until you test it. Step 3: Connect your Main TV: Make sure that you run the channel scan to see what stations you are pulling in and make any directional adjustments to the antenna at this time. Make sure that you rerun the channel scan with every repositioning of the antenna. This is an important step that many miss. We don't suggest connecting more than one TV at a time because if something goes wrong you won't know where the issue is. Step 4: Connect the Next TV: Once you got the first TV working as expected, then hook up your 2nd TV and repeat the process and then the 3rd and so on. If any point during these steps you notice that you have lost signal strength, it is time look into buying an amplifier. *Tip: We do suggest that if you don't use all of the "out" ports on your splitter that you purchase "caps" for the open port to prevent signal loss. Any electronics store will offer these if they aren't included with the splitter to begin with. How do I use an RF Splitter with my Sky 60 Antenna? Many customer ask how to ground the antenna and if it is necessary. Although the Mohu website says that the Sky 60 antenna is lightning resistant, any antenna mounted on a roof has a chance of being struck by lightning. While we do not mandate that our antenna be grounded we know that some customers feel more secure with a ground in place. Please see the information below that was taken from https://www.groundedreason.com/how-to-ground-an-outdoor-antenna/ for tips on grounding your antenna. You can also reach out to a local electrician for grounding services. Before I get into how and why you should ground your antenna, I wanted to let you know I am not an electrician. I’m a DIY weekend warrior that relies on Google search-fu to learn how to do household repairs and installs. For any engineers or electricians that stop by, I welcome any critiques or corrections in the comments. Accuracy is extremely important to me, and I appreciate any corrections or adjustments you can offer. That said, years of working in enterprise architecture make me a bit of a stickler for standards and practices. If you are as well, you may want to check out Article 810 of the National Electric Code. It covers all the codes and standards for installing the cabling for TV and radio transmitters. However, if you are like most people, you’d rather hit your thumb repeatedly with a hammer than suffer through technical manuals. In that case, I’ll do my best to walk you through what I did after looking over the code. Below is a picture describing exactly what we are going to do. 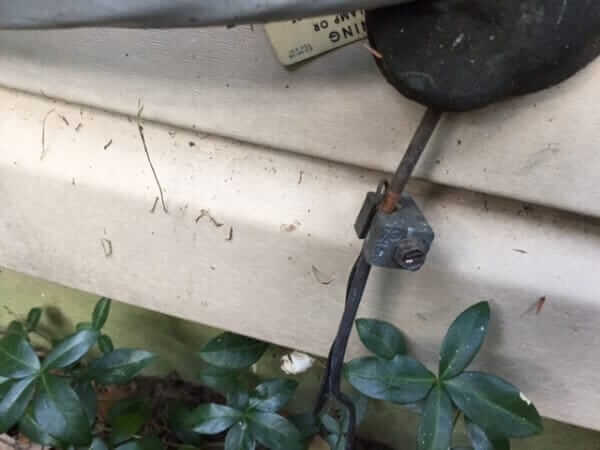 It illustrates how to ground your antenna by connecting it to your house’s ground wire. Notice you should not only ground the coaxial cable, but the antenna mast as well. Grounding an antenna isn’t difficult to accomplish yourself, but it shouldn’t be too expensive to have a professional come out and do this for you. If you want to attempt this, below are are the steps I took to recreate what is essentially depicted in the diagram. In the diagram, the house ground wire is labeled as the “Power System Grounding Electrode.” You will typically find this wire near your electric meter or where power service enters your house. This is typically near your breaker panel, but on the outside of the house. It should be a thick gauge copper wire coming out of the ground. Here is a photo of what mine looks like. The preferred way to ground an antenna is by using your house service ground. Please check out the NEC manual linked above for more information. Notice the clamp on the ground wire in the picture above? Here is a close up picture of what it looks like. 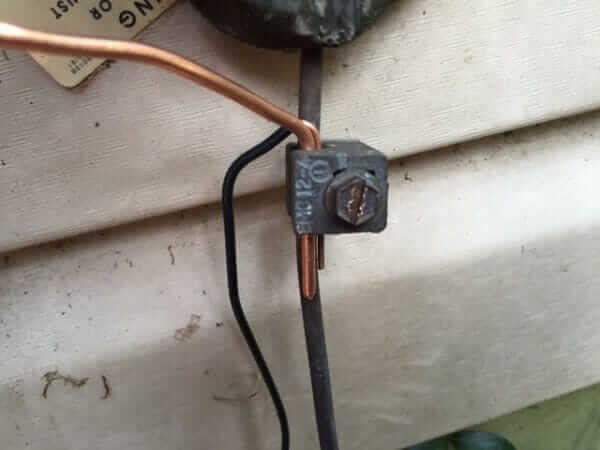 Use a solid copper wire and use the ground clamp to connect it to the house service ground. The minimum size wire you should use to connect the antenna to the house service ground is 10 AWG (American Wire Gauge ), which is 1/10th of an inch in diameter. 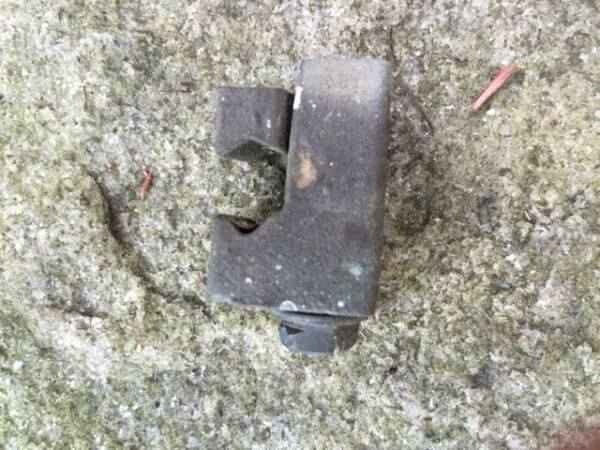 The type of clamp connector will depend on the size of your ground wire. The house ground wire is required to be at least 2 AWG. This is about 1/4 inch in diameter. Use this table to get an idea of the AWG of your ground wire and then you can buy a clamp that will connect the antenna ground wire to your house ground wire. You can use any size wire for your antenna ground as long as it’s larger than 10 AWG (and smaller than your house ground. They sell various clamps and wires online at Amazon. You want to be sure to get a solid copper wire, as stranded wire can become brittle over time. I personally used a 6 AWG solid copper wire and clamped it to my house ground wire as seen in the picture below. To connect the antenna to ground, simply connect the other end of your ground wire to coaxial grounding block. The block will have two female coaxial connectors and a slot to connect your ground wire. The picture below illustrates what this looks like. The left coaxial connector connects to my antenna on the roof, while the right coaxial enters my house and goes to my digital tuner. Your coaxial is now grounded. Be sure to check your channels on your television to ensure they still are being received. If done properly, there should be little noise added to the system. In fact, after grounding the antenna I actually gained 1 channel. However, that could have just been a coincidence. 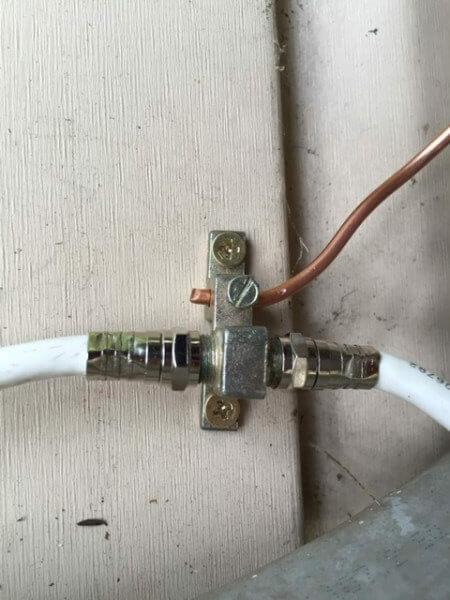 If the antenna is already installed and there is no coaxial joint that can be unscrewed to connect the block, don’t worry. I explain what to do at the end of the post. Update: It’s been pointed out that I should use compression fittings to avoid water seepage into the line. Furthermore, make sure the cables are connected horizontally at the block to avoid water traveling down the cable and into the connection. Grounding the coaxial was the hard part. Grounding the mast is easy. Simply attach an 8 or 10 AWG copper wire to the mast using a mast ground clamp and run the other end of the copper wire to the house ground. It’s recommended to use a separate clamp, and not the one used to ground the coaxial to the house ground. You can see the black mast ground wire in the picture at the end of step 2. As you can see, I need to purchase a second clamp. Congratulations! Your antenna is fully grounded. What is the maximum cable length I can use with the Sky 60 before the signal starts to degrade? It is recommended that you use as little coaxial cable as you can. Using too much coaxial cable can result in as much as a 1/3 of the signal being lost. Less is more with coaxial cables. Also do not coil the coaxial cable as this can cause signal loss. Instead let the cord lay uncoiled if at all possible. Again...less is more! With the Sky 60 we recomend adding no more than 50 additional feet of coaxial cable along with the 30 that comes with it. Mohu recommends CEDIA as a potential installation source for your Sky antenna. CEDIA a consumer electronic home installation and design company and currently are the only authorized installers of our antennas. You can visit this page, http://www.cedia.org/find-a-cedia-professional, to get contact information for the dealer closest to you. Is the Sky 60 weather resistant? Yes the Sky antenna is water and lightening resistant. The Sky was designed to channel water through the antenna and out of the coaxial connector socket. Our Sky antennas are made out of ABS (Acrylonitrile butadiene styrene) plastic and can withstand temperatures of about 140 F before deforming. Using a Sky 60 with a metal roof. As long as the Sky is mounted above the roof line it should work well. Please note that the possibility of the antenna being negatively impacted by the metal scattering the signals may occur. Scattering: When a transmitted signal hits objects such as clouds, water or metals and are disrupted. Soft Install! Try before you mount! We suggest connecting your Sky to a TV on the highest floor of your home before mounting it permanently so you can see the minimum amount of channels you will receive and make sure the Sky antenna is right for you. When mounting it permanently, place the antenna as high as you can. The Sky usually works optimally outside, results may vary. We know that in some communities a roof mounted antenna is frowned upon. Our Sky 60 antenna can be installed in an attic as long as there is no metal roof or metal heat shields that would block it from receiving signals. Below is a link from the FCC (Federal Communications Communication) regarding the installation of antennas in communities. In a nutshell the rule states that homeowner association covenants cannot prevent you from installing antennas or dishes. The rule "prohibits restrictions that impair the installation, maintenance or use of antennas used to receive video programming." Take a look at the FCC link above...you may find it informative. Do other rooftop antennas outperform the Sky 60? Some rooftop antennas will outperform our Sky attic/rooftop mount antenna because our Sky is not in that same type of antenna. When we set out to create our rooftop antenna the idea was so the non-tech savvy customer could mount it, set it and enjoy it as opposed to having to have someone come out and install a large, bulky antenna. We strove to create a multinational antenna, that is intentionally elegant and compact, yet still strong for long distance UHF/VHF. Our Sky features a 60 mile digital UHF and a 45 mile digital VHF range. The Sky is ideal for those who need a discreet, easy to set up antenna that is not only aesthetically pleasing but acceptable to landlords and homeowners associations. Please follow this link to access the product manual for the Sky 60 antenna. The Jolt is a digital antenna amplifier that was specially designed to amplify TV stations and filter out any RF signals that can hinder picture quality. This item can be paired with our Leaf 30 or Curve 30 to give them a boost. The Jolt is powered by a USB port which is located on the amp which you then plug into the USB port on your TV. The advantage to this is that the amp will only draw power when the TV is turned on. We also include a power cube in the event that there is no USB port on your TV. To place an order for a Jolt visit www.gomohu.com or call 855-446-6648 to talk to a Mohu Sales and Service Specialist (M-F 8am - 5pm EST). What is the dimensions of a Jolt 4-Way amplifier? Our Jolt 4-Way has a 2.5 inch radius and is 1 inch wide. We offer a high performing digital video cable in 10ft or 25ft lengths to allow you to expand the mounting options for your Mohu antenna. Our line of coaxial extension cables are made using premium, high performance UL certified coaxial cable and precision, high quality F connectors. The Leaf Stand allows you to secure your antenna onto the back edge of a flat surface, such as an HDTV. It is compact, lightweight and features two adhesive tabs that won’t leave marks or residue on the surface of your furniture. It is compatible with the Metro, Leaf 30 and Leaf 50. Will a Jolt Amplifier work without power? The Jolt and Jolt 4-Way must be powered by either the power cube or by using the USB port on your television. An advantage of using the USB port on your television is that power is only supplied to the Jolt when the television is powered on. If your antenna is amplified please conduct this test to see if the amplifier needs to be replaced. First, try removing the amplifier: Sometimes the amplifier can be the issue if you have an amplifier in the setup. To test the amplifier, simply remove it completely from the setup (don't just unplug, remove it altogether). Next perform another channel scan with the amplifier off. If you get better reception or more stations with the amplifier off, then the amplifier is the issue and it should be replaced. If you find that you need a new amplifier please follow the instructions that best fit your warranty situation. If you are within the antennas 1-year warranty period with your antenna please submit an email to support@gomohu.com. If you purchased this from Mohu please provide an order number if possible. If you purchased somewhere else, please provide us with proof of purchase. If it was an online order, just log into your account history and download a copy of the invoice. If it was a retail order, please take a photo of your receipt. Make sure that you state in your email that you are requesting a replacement amplifier and provide us with your mailing address for the replacement. *If your antenna was purchased at Wal-Mart please indicate the color of your amplifier (black or white). 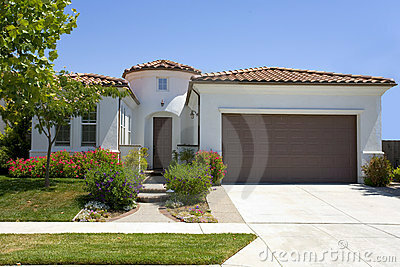 As soon as we have the proof of purchase information we will process the replacement. It generally takes 7 - 10 business days for a replacement amplifier to be delivered. If you are outside of the antennas 1-year warranty period you can order a replacement amplifier for your antenna one of three ways. 1. Visit www.gomohu.com to place your order online. The site is available 24 hours for shopping! 2. Call our Sales and Service center Monday through Friday 8am to 5pm eastern time and we would be happy to place an order for you! 3. You can also leave a message with you contact number at 855-446-6648 or reply to this email with "Call me to place an order for an amplifier" and we'll contact you! I added an amplifier to my antenna and now I get fewer channels than before? Location plays a huge part in amplifier performance. You may be very close, 3 miles or less, from a powerful transmitter. If you are already receiving a strong signal you can overload the Jolt which will result in distortion, causing your reception to worsen. To test this theory you can remove the amplifier completely from your set up and run the channel scan again. If you get more stations without the amplifier connected it not needed at all. Check your address using our channels tool below to see how far you are from your towers. Step 1: Enter in your complete address. Step 2: Review the results to see what signals the customer can expect to receive. · Grid Color: Green indicates what channel your customer can expect to receive. The other colors will not be picked up by our antennas typically. · Distance Miles: Our products each have a distance range that varies from a 25 to a 60 mile range. You can use this information to help select a product. · Path: LOS indicates “line of sight” and must be present for ideal signal reception. · Network: Shows what stations the customer can expect to receive. · NM (dB): We suggest that this number be 39 or higher for ideal signal reception. · 1Edge or 2Edge: Indicates if there are terrain issues or other interferences blocking the signal at your location. · All Channels Radius: The All Channels radius will help you let the customer know which way the majority of their signals are coming from for optimal placement of their antenna. Do I need an amplified antenna or not? The antennas we offer, both amplified and non-amplified, are made for specific distances. The non-amplified antenna works wonderfully for customers that are in a 30 mile range of their transmitting towers while people more than 30 miles from towers tend to find success with our amplified antenna. An issue that will occur when you are using an amplified antenna and are located very close to the tower(s) is signal loss. The signal from the tower becomes overpowered when it is sent through the tuner in your TV and will cause signal loss. To resolve, remove the amplifier and re-scanning for channels. No amplifier is needed at your location. How do I do a channel scan? In order for your antenna to perform you will need to do a channel scan so you can see what channels you will be able to receive. After you connect your antenna to your television a channel scan using your televisions remote is the next step. This step can vary greatly since there are so many different brands of televisions on the market, and no two are the same, you may need to reach out to your specific manufacture for additional assistance. A google search with the brand of your television followed by "customer service number" should locate their technical support number. You may also be able to consult the owner’s manual for more detailed instructions on how to run a channel scan. Finding the "Sweet Spot" or positioning the antenna. When you get our antenna you will need to find the “sweet spot” or perfect placement for your antenna to get the best reception. A general rule of thumb for antenna placement is the higher you can get it, the better reception you will have. Most customers try several locations until they locate the spot where they get the most channels. Please remember that every time you move your antenna you will need to run your channel scan again. If you are not sure how to do a channel scan, contact the TV manufacturer directly as set-ups can vary. If you are getting clear reception on the channels that broadcast in your area then you are done. You may also want to try placing your antenna in a window and rerunning the channel scan. If this does not help you perform a channel scan a google search with the brand of your television followed by "customer service number" should locate their technical support number. You may also be able to consult the owner’s manual for more detailed instructions on how to run a channel scan. Are Mohu products made in the USA? All our products are designed here in the U.S. and most are manufactured in our facility. Our amplifiers are made and tested abroad but they are then retested, assembled and packaged in our Raleigh NC manufacturing facility. We will continue to work diligently to keep our products made in the USA when at all possible while keeping our products at a reasonable cost for our customers. Being 100% up front and honest we have to let you know that our "Open Box" models are absolutely a refurbished antenna. Here is how this process works. We know that our product works really, really well for some customers and just will not work at all for others based on their location. In many instances people will purchase an antenna without making sure that they are in a good location to pull in over the air signals first. They try the antenna, see it won't work, call us and we tell them that they are in bad location for signals and have them return it. Once we get it back we open the package, clean the antenna (if necessary) and always test the antenna to ensure that it is 100% functional, repackage it and sell it as "Open Box" or "Refurbished" at a discount. These antennas have the exact same warranty, guarantee and returns policy as a brand new antenna. Since they are not "new" we can't sell them as such but it is a shame for a perfectly good antenna to get discarded when it was never truly used and that performs exactly like a new one that hasn't been opened. Instead we opt to pass the savings along by discounting them! *Open Box antennas are not always available since their inventory is based totally on the number of returns that we receive. Will an antenna work on a boat? Terrain: If you are in the mountains or in a valley there may be no or limited signals. Higher is always better for signal reception. Metal blocks reception: Your windshield/window is going to be the best place to hang your antenna especially if your boat is made of metal. Also note that if there is metal rigging/rails/brackets between your antenna and the signals it could block them. Even a neighbors boat, if made of metal, could cause issues. Motion: If the plan was for someone to watch TV while you are moving that will be difficult to accomplish since the signals are stationary and you would "sail out" of range very quickly. If you wanted to try an antenna we'd suggest a Leaf 50. This antenna has a 50 mile range BUT you can take the amplifier off and it, in essence, becomes a Leaf 30 with a 30 mile range. Why is that important? Since you are going to be going from place to place you may dock somewhere that the towers are really close to you and you would not need the amplifier because it would overpower your TV's tuner. On the other hand if your destination port was 30+ miles from the towers you could put the amp back on to pull in those signals. One LAST thing. Water can cause issues with reception sometimes. So if you are trying to pull in signals that are transmitting over a body of water you could have a "scattering" effect. Which is when a signal hits water and is bounced away from the antenna. There is a site called www.tvfool.com that you could check out to see if some of the locations you frequently travel through have good reception. This site will also tell you the best direction to hang your antenna. Why does the TV for Free tool on your website show different results than what I get in my home? Our TV for Free tool looks primarily at distance from the TV towers and the zip code that was entered. The tool does not account for differences in terrain. For example, even if you are close to the towers, if you live in a valley, your reception may be degraded. The TV for Free gets information from the FCC (Federal Communications Commission) and sometimes there is a lag between when they update their information and when TV for Free is updated. Some stations broadcast at a lower strength so reception can be inconsistent. zip code and we can run an in-depth signal report for you. Will an antenna work in an RV? Metal blocks reception: Your windshield/window is going to be the best place to hang your antenna since I am pretty sure your RV is mostly metal. Also note that if there is metal between your antenna and the signals it could block them. Meaning that a neighbor's RV, if made of metal, could cause issues. Motion: If the plan was for someone to watch TV while you are moving, if you have that kind of RV, will be difficult to accomplish since the signals are stationary and you would drive of range very quickly. If you wanted to try an antenna we'd suggest a Leaf 50. This antenna has a 50 mile range BUT you can take the amplifier off and it, in essence, becomes a Leaf 30 with a 30 mile range. Why is that important? Since you are going to be going from place to place you may camp somewhere that the towers are really close to you and you would not need the amplifier because it would overpower your TV's tuner. On the other hand if your destination port was 30+ miles from the towers you could put the amp back on to pull in those signals. One LAST thing. Water can cause issues with reception sometimes. So if you are trying to pull in signals that are transmitting over a body of water you could have a "scattering" effect. Which is when a signal hits water and is bounced away from the antenna. There is a site called www.tvfool.com that you could check out to see if some of the locations you frequently travel through have good reception. This site will also tell you the best direction to hang your antenna. What's the difference between a Metro, Leaf 30 and a Leaf 50? The Leaf Metro – is our original non-powered, non-amplified indoor TV antenna. It comes with detachable 10’ coaxial cable. The Metro's range is about 25 miles digital/10 miles VHF. The Leaf 30 - is a non-powered, non-amplified indoor TV antenna. It comes with a 10' coaxial cable. The Leaf 30 has a range of 30 miles digital/10 miles VHS. The Leaf 50 – is an amplified powered indoor TV antenna with Clean Peak filter technology that removes unwanted signals and boosts the signals you do want. It comes with a 16' coaxial cable. The Leaf 50 has a range of 50 miles digital/20 miles VHF. What's the difference between the Leaf 30 and the Curve 30? Truly the only difference in the Leaf 30 and the Curve 30 is the design. They both receive signals up to 30 miles. The Leaf 30 antenna is flat and flexible and can be hung in a window or tacked to a wall for placement almost anywhere. The Curve 30 antenna caters more to the customer who wants a modern look for their antenna and will have it sitting on a table or entertainment center. The Curve 30 offers a little less flexibility when it comes to where you can put it. Many of our customers that live in apartments order the leaf since reception is often improved when an antenna is hung in a window. Other than its shape, both antennas offer the same performance. What's the difference between a Leaf 50 and a Curve 50? Truly the only difference in the Leaf 50 and the Curve 50 is the design. They both receive signals up to 50 miles. The Leaf 50 antenna is flat and flexible and can be hung in a window or tacked to a wall for placement almost anywhere. The Curve 50 antenna caters more to the customer who wants a modern look for their antenna and will have it sitting on a table or entertainment center. The Curve 50 offers a little less flexibility when it comes to where you can put it. My amplified antenna’s reception is getting worse. Can that be fixed? The Leaf 50, Curve 50, Sky 60 and the Leaf Ultimate all come with an amplifier. If the amplifier is faulty it can interfere with TV reception. If reception has been fine for a while and then all of a sudden reception becomes choppy or “glitchy,” then there is most likely an amp issue and you should run the amp test. First, try removing the amplifier: Sometimes the amplifier can be the issue if you have a Leaf 50, Leaf Ultimate, Sky 60, Curve 50 or have a Jolt signal amplifier in the setup. To test the amp, simply remove it completely from the setup (don't just unplug, remove it altogether). Do another channel scan with the amp off. If you get better reception or more stations with the amp off, then the amp is the issue and it should be replaced. Call our Sales and Service center Monday through Friday 8am to 5pm eastern time and we would be happy to place an order for you! You can also leave a message at 855-446-6648 or reply to this email with "Call me to place an order for an amplifier" and we'll contact you! Will an antenna work in another country? In theory, as long as the country has UHF or VHF, the antenna should work there. However, we are not set up to take orders internationally at this time. You may be able to find a re-seller on Amazon that ships out of the U.S but if you wanted to purchase one here in the U.S. and bring it with you this is what you would need to know about your situation:The country it is being used in has at least UHF or VHF frequency. Our Leaf (non-amplified) antenna – needs to be 35 miles from UHF towers and/or 10 miles from VHF towers – but there can be no terrain interference between the transmitting tower and the location being used. You must have a TV that has a digital tuner inside and cannot be used with houses that have metal roofs, aluminum siding, stucco, fire escape, bars on windows, etc or any other metal barrier. You would have to find out how far and in what frequency the towers are transmitting from. There are other variables involved with over-the-air transmission but we do not have access your country’s broadcasting data in relation to specific locations. Another thing to keep in mind is that most international countries use 220V power outlets which a special socket. Unless the amplifier can be powered by USB from the Television’s USB port, you would also have to purchase the appropriate voltage converter. *Our 1 year product warranty is only good for use in U.S. and Canada locations so it would also be a final sale as well. How can I improve reception with my Leaf antenna? The Mohu Leaf antennas were designed to be placed above and behind your television. A general rule of thumb for any type of antenna placement is the higher you can get it, the better reception you will have. When you initially place your Leaf antenna where you'd want it, be sure to run a channel scan* to see how clear your reception is and how many channels you receive. *If you are not sure how to do a channel scan, contact the TV manufacturer directly as set-ups can vary. If you are getting clear reception on the channels that broadcast in your area then your work is done! If you think your reception can be improved, then try placing your Leaf in a window and re-running the channel scan. You may need more coaxial cable to connect the antenna to the TV. Any good quality coax will work, or you can buy matching coax on Mohu’s website. If the coaxial cable that came with your antenna isn’t long enough, you can use additional coaxial cable. We suggest using no more than 25 feet of additional coaxial cable. Any more than the suggested length of coax will degrade the signal. Less is more when adding coaxial cable. Once you are all set up with your antenna in the window, do another channel scan. If your reception has improved you are done. A final note IMPORTANT note about window placement: If you mount your Leaf antenna in a window and are happy with the reception, make sure the WHITE side faces outside so the antenna absorbs less heat from the sun. We also strongly suggest that you secure all four corners of your antenna to the window with clear packing tape so it doesn’t curl. If the antenna curls up, it will degrade reception. What is a digital converter box? A digital converter box connects to your existing TV and allows it to receive free over-the-air digital TV signals. A digital converter box is a one-time purchase with no monthly fees. One converter box is necessary for every TV that doesn't have a built-in digital tuner and that receives its signal over the air with an antenna. They can be purchased at most retail electronics stores and online. Typical cost is $30 and up. What does "detachable" or "interchangeable" cable mean on your antennas packaging? Mohu antennas offer the greatest flexibility. Unlike other antennas, our coaxial cable can be swapped for different cable lengths. All of our antennas will receive both digital UHF and digital VHF signals but please note that the reception range is different for digital VHF. Can I boost my signal by using two antennas? No. Two antennas will not result in a stronger signal, and will not enhance results. Metal and earth can interfere with reception. Make sure there is no metal bug screen on the window. A vinyl screen is okay. If your antenna is placed near a balcony, make sure there isn't a metal railing on the balcony. If your window is a double-pane metallic auto-tinting glass window it will block signals. In that case, place a Leaf high up on a wall or move a Curve away from that window. Any time you move your antenna, do a channel scan to see if reception has improved. If reception is gets worse after moving the Leaf Ultimate, Leaf 50 or Curve 50 closer to a window and you are certain there is no metal interfering, consider doing an amplifier test (see below). Apartment buildings or condos in large metro areas the Leaf or Leaf Ultimate MUST be in a window because the metal in surrounding buildings can block TV signals. The earth, while made of dirt and not metal, will also block TV signals. If your basement has windows above ground, place the antenna in the window. If that doesn't provide good reception, try moving the antenna higher, either by taping it to the basement ceiling near the window, or moving it up one floor and running the coaxial cable down to the basement TV. Remember to redo the channel scan every time you move the antenna. If this is an amplified antenna like the Leaf Ultimate, Leaf 50 or Curve 50, please conduct this test. Remove the amplifier completely from your setup (don't just unplug it, remove it altogether) and do another channel scan. If you get better results with the amplifier removed, then it's the amplifier with issues most likely and that component should be replaced as follows. You would then need to forward a copy of your receipt from that purchase to us at Mohu Customer Support and mention that you did the "Amp Test" and that you get better results with the amp off. At this time please provide us with your street address and zip code so that we may perform a final signal analysis of your location. If you are within your 1 year warranty then Mohu will ship you a replacement at no cost to you. Electronic Interference is defined as disruption of operation of an electronic device when it is in the vicinity of an electromagnetic field in the radio frequency spectrum caused by another electronic device. To really state it basically, one electronic device is interfering with the performance of another electronic device. Ever since we started filling our homes with electronic devices electronic interference has occurred. Does your TV screen get wavy for just a second when the thermostat comes on or cuts off? Does your radio lose reception when the refrigerator's motor kicks on? Lights dim when the neighbor uses their vacuum cleaner? Lose TV reception when you start up your treadmill? These are all examples of electronic interference. Antennas can be affected by interference. We have had cases as mentioned above where a treadmill, thermostats, refrigerators and even a box fan has caused antenna performance issues because it was located in the vicinity of an electronic device. In most cases the only way to resolve the issue is either moving the antenna out of the range of the offending devices electromagnetic field or moving the offending device that is causing the issue away from the antenna. Unfortunately there have been a few customers that were not able to use an over the air antenna in their home because they were not able to relocate the antenna to where it was not affected by interference. Try and locate the source of the interference. Hopefully the source of the interference is something that can be removed from the room to eliminate the interference. If you find that the source is something that can’t be relocated please move on to troubleshooting step 2. Try repositioning the antenna in various spots the room. Make sure that you run the channel scan after every move to see if you can find a spot where there is no interference. If after trying to locate and remove the source of the interference and repositioning the antenna you still experience issues with interference you may need to consider a roof/attic mounted antenna that would potentially get you up and over the interference. Our antennas are multi-directional meaning that they can receive signals that transmit in from all directions which optimizes their reception capability. Why doesn’t Mohu publish technical info about their products like other manufacturers? We made a very conscientious decision not to publish specifications on our antennas because we knew that to 95% of consumers buying these antennas - it would make no sense to them. For those that do care about it, it’s unfortunate it’s not on our packaging. But our goal was to go out with a product that’s not confusing the customer with ‘what’s UHF and VHF" and other such specs. The goal was to provide an easy to use antenna that worked. What is the monthly cost to use a Mohu antenna? Not a penny, other than the initial cost of the antenna! Our antennas are a one time purchase that will allow you to access over the air network programming for free! The amplifier coaxial cable has a center pin that is .034 inches. Also for reference our 16ft coaxial cable center pin is .041 inches. Can I use a computer monitor with an antenna? Your monitor would need to have an ATSC tuner built in with digital visual interface (DVI) or a high definition multimedia interface (HDMI) to be compatible. To use an antenna with an FM receiver you connect the antenna to your receiver with NO amplifier. Our amplifiers are designed to filter out FM signals which can cause problems with TV signal reception. You may need to purchase a female to female adapter (depending on the type of receiver you have this may vary) to make it work. Why do channels take so long to change/load? Since content is delivered to the Mohu TV app on your streaming device via Wi-Fi, the signals coming in over-the-air have to be transcoded for video playback. Delays in channel changes are due to this transcoding. If you’ve completed the setup portal and have connected your AirWave to your home network, and Mohu TV is still unable to locate the AirWave, please contact Mohu Customer Support. Please follow this link to access the product manual for the Arc 40. Please follow this link to access the product manual for the Air 60 sold exclusively at Best Buy. Please follow the link below to access the set up information for the AirWave. Please follow the link below to access the product manual for the Basic 50 Risk Free TV antenna. Please follow the link below to access the product manual for the Chroma manual. Please follow this link to access the product manual for the Mohu 60 manual. Sold exclusively in WalMart. Please follow this link to access the product manual for the Jolt. Please follow this link to access the product manual for the Leaf Ultimate Manual. Please follow this link to access the product manual for the Leaf Mini. Please follow this link to access the product manual for the Leaf Supreme. Please click the image below to open the manual. Please follow this link to access the product manual for the Best Buy exclusive Sail. Please follow this link to access the product manual for the Sky 60 with new mounting hardware. Please follow this link to access the product manual for the Striker. If your television made before 2009 you may need to invest in a digital converter. If you’re not sure of the age of your television you can check your manual for that information. ATSC, it means you do have a built in tuner that will allow reception of digital television channels. NTSC means you do not have the built in tuner and you will need a digital converter. If you’re still not sure, please call your TV manufacturer. A digital converter box connects to your existing TV and allows it to receive free over-the-air digital TV signals. A digital converter box is a one-time purchase with no monthly fees. One converter box is necessary for every TV that doesn't have a built-in digital tuner and that receives its signal over the air with an antenna. They are fairly inexpensive and can be found at electronics stores or online. Digital Converter- Do I need one? ATSC, means you do have a built in tuner that will allow reception of digital television channels. To use an antenna it is important to know what type of building materials were used in your homes construction. Some building materials can interfere with reception. If you are experiencing reception problems take a look at the type of home you live in. 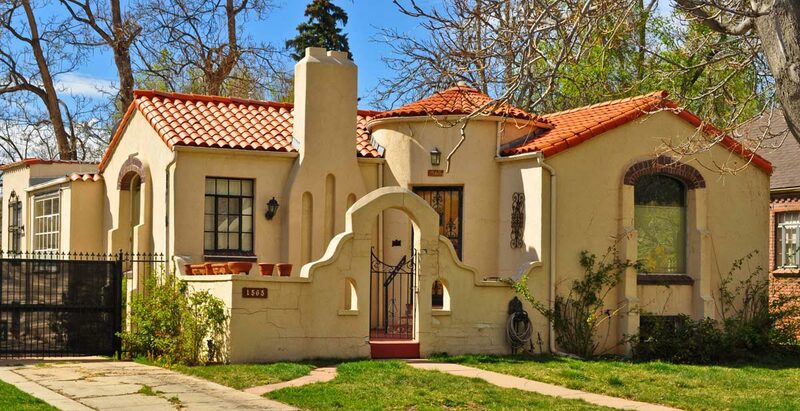 A metal sided home, homes with foil faced insulation, homes with metal awnings, roofs with metal heat shields or roofs made of metal, windows with bars, metal fire escape, stucco (metal mesh is used to hold the plaster to the walls). All of these things can cause signal disruption. Metal, Stucco and Aluminum siding homes: You can try placing the antenna in a window (that has no metal awnings or metal window screens) and you may potentially have success with reception. : Try to get the antenna in a window to avoid the block. Since our antennas are multidirectional they will still experience some reception issues. Metal Heat Shields/ Foil faced insulation/Radiant Barriers/Metal Roofs: Heat Shields/radiant barriers are installed in the attic to help insulate the home. These are typically found more in cold climates. If you have a metal heat shield/radiant barrier an antenna would not work in the attic and a roof or window antenna would be needed. Same applies to a metal or tin roof. 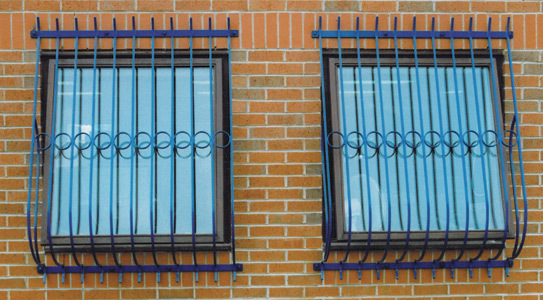 Bars, Fire Escape and Metal Screens: While these three things keep you safe from burglars, fire and bugs they wreak havoc on transmitted signals. You either have to get above these types of items by going higher or you would have to place the antenna in a window where there is no metal present. These types of materials refract or bend transmitted signals making the antenna not able to receive them. 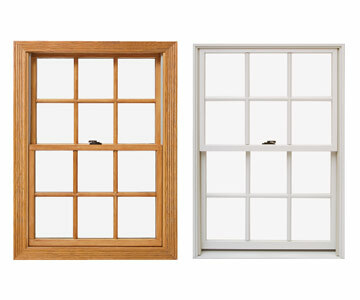 The best building construction for indoor digital TV reception is wood, brick or vinyl siding or placement in a window. Terrain issues such as hills, mountain, trees, buildings, etc can certainly block signals from reaching your location. Since radio waves cannot penetrate solid terrain it makes it difficult to receive signal unless you mount an antenna higher than the interference. A regular rainfall shouldn’t affect reception. High winds, fog and heavy rain, however, can interfere with reception because they affect how the TV signals reach your antenna. Poor reception in inclement weather occurs because the signals are getting disrupted as they are traveling from the towers to your antenna. There is nothing wrong with the antenna so wait until the weather clears up and reception should improve. The Mohu Leaf antennas were designed to be placed above AND behind your television (not just behind the TV). A general rule of thumb for antenna placement is the higher you can place it, the better reception you will have. When you place your Leaf antenna behind and above your TV on a wall or bookcase do a channel scan to see how clear your reception is and how many channels you receive. If you are not sure how to do a channel scan, contact the TV manufacturer directly as set-ups can vary. If you are getting clear reception on the channels that broadcast in your area then you are done. If you think your reception can be improved, then try placing your Leaf or Leaf Ultimate in a window and redo the channel scan. Once you are all set up with your antenna in the window, do another channel scan. If your reception has improved you are almost all done. Reward yourself with some Mohu-provided couchsurfing. A final note about window placement. 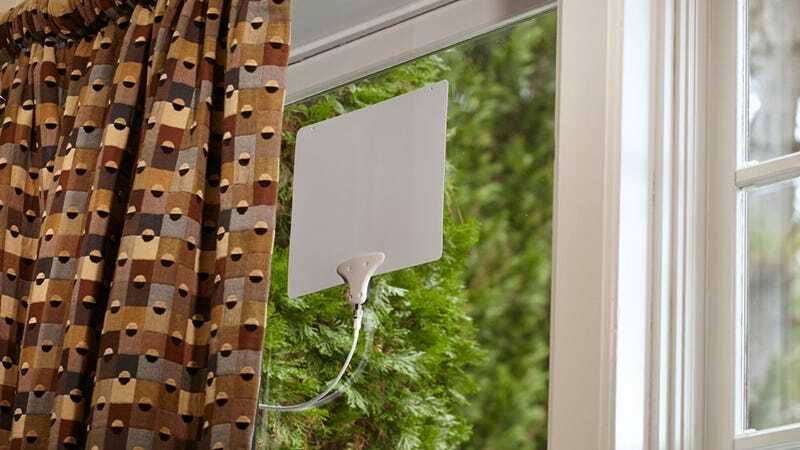 When you get your Leaf or Leaf Ultimate in the window and you are happy with the reception, make sure the WHITE side faces outside so the antenna absorbs less heat from the sun. In addition, secure all four corners of your antenna to the window so it doesn’t curl (clear packing tape is fine). If the antenna curls up, it will degrade reception. 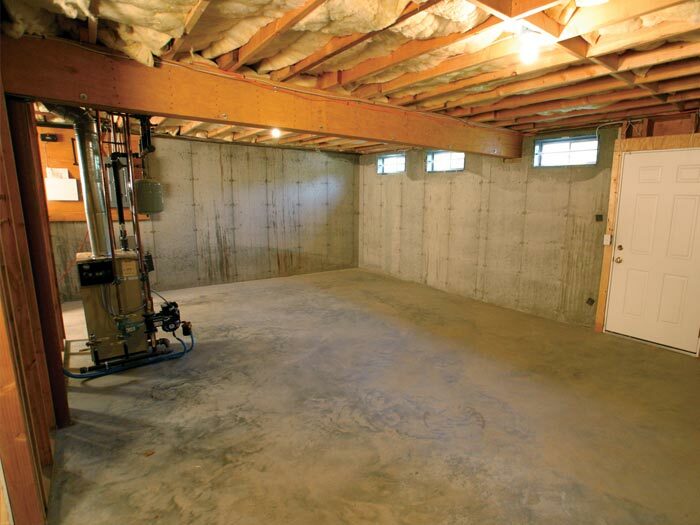 Historically basements are problematic locations for antenna reception. Television signals will not penetrate the ground and in most cases basement walls are concrete with steel rebar inside them for support. Yet another signal blocker. If your basement has windows above ground, place the antenna in the window. If that doesn’t provide good reception, try moving the antenna higher, either by taping it to the basement ceiling near the window, or moving it up one floor and running the coaxial cable down to the basement TV. Remember to redo the channel scan every time you move the antenna. In most basement situations a roof/attic mounted antenna is a great option since it gets your antenna up and over any blockages. 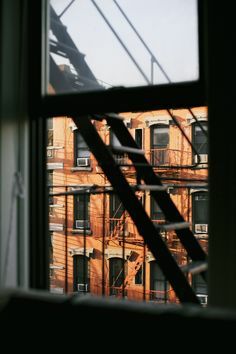 If your building/home has windows that are filled with gas (Low E) these windows incorporate a metal based coating to reduce heat flow through the window. The coating is intended to block infrared radiation but it also can lower signal strength since it blocks the signals. Try the antenna on a wall directly beside the window and rerun the channel scan to see if that resolves the issue. Still nothing? Did you run the channel scan? The single most common overlooked step, and the most important, is doing a channel scan through your television menu when setting up the antenna for the first time. If you move the antenna to a new location to see if the reception is better you will need to run the scan again. Each time you reposition the antenna you will need to do a scan until you find the perfect location for reception. In order for your antenna to perform you will need to do a channel scan so you can see what channels you will be able to receive. After you connect your antenna to your television a channel scan is the next step. This step can vary greatly since there are so many different brands of televisions on the market, and no two are the same, you may need to reach out to your specific manufacture for additional assistance. A google search with the brand of your television followed by "customer service number" should locate their technical support number. You may also be able to consult the owner’s manual for more detailed instructions on how to run a channel scan. If you need help figuring out how to run the channel scan on your television, please reach out to your television's manufacture for assistance. They will be quickly able to walk you through the channel scan process. If once you have the channel scan completed you are still experiencing issues with your antenna please reach out to Mohu. Can I use an antenna at my location? There are many sights that you can use to see if you are in a good location for reception. We suggest that you send us your complete address to support@gomohu.com or call 855-446-6648 (M-F 8am-5pm EST) so one of our antenna experts can do a detailed analysis for you. If you'd like to give it a try yourself you can try these sites. If you have any questions or need help with a signal scan please reach out to Mohu. We are here to help. I am not getting the channels the signal locator said I would! Our site tool on www.gomohu.com looks primarily for the distance between your zip code and the TV towers. It does not take into consideration if there are terrain issues such as hills, mountains and/or valleys which can impede signals from reaching you nor does it identify if the signal is being transmitted in VHF or UHF. We would like to offer to do an in depth signal scan to see what kinds of signals are available in your exact area and to determine if the antenna you purchased is the right one for you. If you would please submit a ticket at support@gomohu.com and provide us with your street address and zip code we can do a detailed analysis of the signals you can expect to receive at your address. We can also help you trouble shoot once we determine that you are in a good area to receive signals. We are also reachable by phone at 855-446-6648 (M-F 8am - 5pm EST). Can I be too close to my TV towers? An issue that can sometimes occur when you are using an amplified antenna is poor reception when you are very close to the transmitting towers. The signal from the tower can overpower the amplifiers on over-the-air antennas and they won't work with the amplifier on them. To resolve, we would recommend removing the amplifier and re-scanning for channels. Other customers with a similar situation to yours have had success with this. Our power cube are 5V DC. My amplified antenna's reception is getting worse! First, try removing the amplifier: Sometimes the amplifier can be the issue if you have a Leaf 50, Leaf Ultimate, Leaf Glide, Sky 60, Curve 50 or have a Jolt signal amplifier in the setup. To test the amp, simply remove it completely from the setup (don't just unplug, remove it altogether). Antenna and Antenna Accessory Warranty: Mohu warrants our antennas against defects in materials or workmanship for a period of one (1) year from the date of purchase. During this period, the products will be replaced or repaired at no charge. This warranty does not cover damage due to acts of nature, commercial use, accident, misuse, abuse, or negligence. This warranty is valid only in the USA and Canada. Why does the wind bother my reception? High winds can play havoc with digital-television reception whether you have an outdoor TV antenna or an indoor or attic mounted antenna. 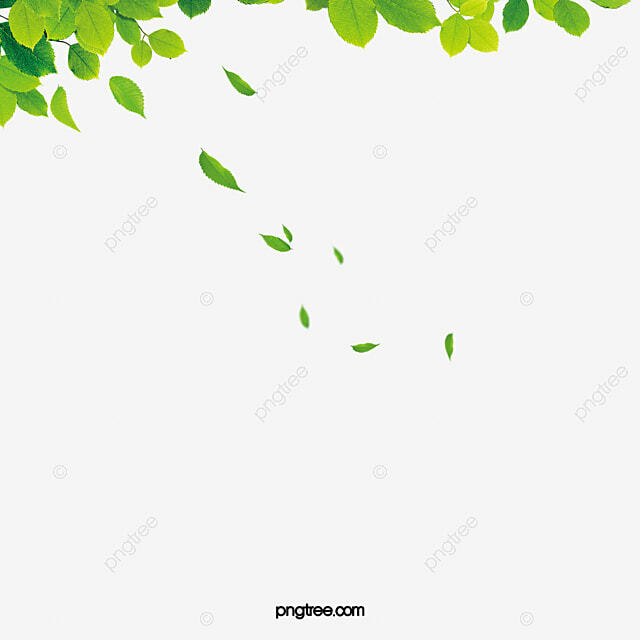 While an outdoor antenna is vulnerable to direct movement by wind, particularly if it is fixed to a tall mast, the problem for indoor antennas is usually interference caused by nearby trees swaying in the wind. If hills or other geographic features are in between the broadcast towers and the antenna, you would not be receiving enough signals. Elevating the antenna higher, either by placing it in a higher location or using a taller mast, would increase the signal reception. Other buildings, trees, or even shrubs will block signal from reaching the antenna. Try to get the clearest most unobstructed view to the broadcast tower possible. It is completely possible that some types of LED lights may cause interference to television reception. Such interference may consist of a sudden loss of signal or picture quality in a residence where LED lights are in use. Such interference is most likely to occur during evening hours when light globes are most likely to be in use. Try this simple test before looking at adjusting or replacing your antenna. Switch your LED lights off while viewing the affected television channel. If your television signal immediately returns to normal this will provide a very strong indication of whether the LED globe(s) is the source of the interference. If it appears that the lights are the problem, you may consider returning them to the place of purchase or contact the manufacturer directly. 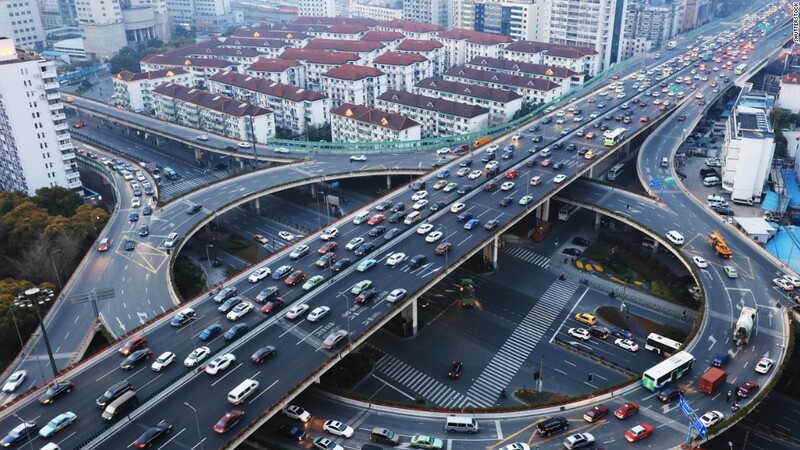 I live next to a major freeway. Will that impact my reception? Believe it or not, customers that live in areas that are flanked by freeways or interstates tend to have issues with reception, even if the channel scan returns a good area report. Vehicles act as moving metal barriers that will reflect and refract signals causing poor and sporadic reception when the vehicles pass. Getting the antenna up as high as possible, to get it over the traffic, can sometimes help. I live near an airport. Will that disrupt my signals? Unfortunately customers that live very close to airports do tend to have disruption issues. Airplanes break up your signals as they come and go and there is nothing on the market that can correct or keep that from occurring. The planes act as moving metal barriers that block the signals when they pass through the signal stream. Can I use too much coaxial cable? Here is a general rule of thumb of length of coaxial cable that can be added in addition to the coaxial cable that is included with the antenna. Please remember that the additional coaxial cable needs to AFTER the amplifier, between the amplifier and the TV for best performance! *Please note that in some locations where the signal strength is strong longer run of coaxial cable may work perfectly for you. This is dependent on several factors in your set up and a test with a longer run coaxial cable would be recommended to see your location supports additional coaxial use. Historically the less coaxial cable you can use the better the reception chances but not all areas are the same where reception chances are concerned so testing is at your exact location suggested. I live more than 60 miles from the TV towers in my area, am I out of luck? The curvature of the earth limits most people to about 70 miles of range. If you have done a signal scan of your location and you are over 70 miles from your broadcast tower, reception is possible if the appropriate equipment is used and the right conditions are present. Unfortunately our longest range antenna is only good for 60 miles (Sky 60) so you would need to research other antenna options. What connections are needed to use a digital antenna? My neighbor can get more channels than me? Keep in mind that terrain and other obstructions can block your signals. Even if your neighbor's home is positioned at just a slightly higher elevation than yours it can have an impact. Try moving your antenna to a higher position on the wall or in a window. The higher the better. When the signals are transmitted they travel in a straight line. These signals do not go over or around obstructions so when they come into contact with something like a hill, mountain or building the signal is weakened and often blocked. The higher the antenna placement of the antenna the better the chances of getting up and over any potential obstructions. If the signals are transmitting to the south side of your location but you only have a north facing window you may not get as many signals as you would with a southern window placement. The signals are also weakened because they have to travel through the building materials and often will not be obtainable. In some homes customers get many channels in one side of the home and little to no channels on the other side. When possible placing the antenna in a window that is facing the direction of the towers is ideal. Many apartment or condo dwellers find that the higher the unit the better the reception. This is all dependant on the signal strength in the area and the location of the unit in relation to the transmitting tower. If the signals are transmitting to the south side of your location but you only have a north facing window you may not get as many signals as you would with a southern window placement. The signals are also weakened because they have to travel through the building materials and often will not be obtainable. In some apartment/condos customers get many channels in one side of the unit and little to no channels on the other side. When possible placing the antenna in a window that is facing the direction of the towers for the best reception chances. If you try these suggestions and still can't get the signals you were hoping for, give Mohu Sales and Service a call at 855-446-6648 or submit an email at support@gomohu.com and we can put our heads together and troubleshoot your situation! Please remember to provide your complete address should you send an email or if you leave us a voice mail. I'm getting every station except one. VHF broadcast: Believe it or not some broadcasters still haven't upgraded to digital and the signal you may be attempting to pull in could be a VHF transmission. The vast majority of stations are transmitted in UHF signals but some are still VHF. Our antennas work really well with digital (UHF) signals but VHF signals can be elusive in some cases. Translator Towers: If the tower that is transmitting your signals is a translator tower (one that receives signals from one tower then sends the signal along) it tends to transmit at a low signal strength. Some towers will also transmit at a lower power level as a cost saving method. Unfortunately there is little that can be done to improve reception if this is the issue. Transmitter Blockage: Transmitters can actually "line up" one in front of the other geographically and the signal that the further transmitter is sending can be blocked or the signals reflected by the closer tower. You can try re-positioning the antenna however it may be difficult to improve reception when this occurs. Can I coil the coaxial to keep things tidy and organized? 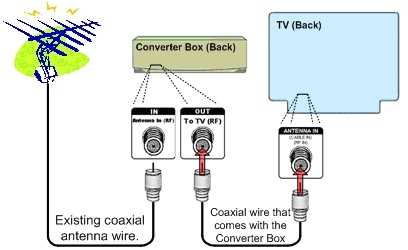 Coiling the coaxial can result in signal loss. Do not coil the coaxial cable, instead let the cord lay uncoiled if at all possible. It may not look great but the reception will be! Don't coil! Let it hang! How to use the Sticky Tabs that come with the antennas. Once you determine where you want to affix your antenna you peel the backs off of the hook and loop tabs, place one on the top left and right hand corner of the antenna and the other two on the place you are hanging the antenna the same distance apart as on the antenna and then press them together. We want you to be fully satisfied with every item that you purchase from Mohu. If you are not satisfied with an item that you have purchased, you may return the item within 30 days of delivery for a full refund of the purchase price, minus the shipping, handling or other additional charges. Please note that the item price and applicable taxes will be refunded. Special-order, closeout or discontinued items are non-returnable. Purchase was made through another re-seller or retailer. Please reach out to the location of your purchase, if not gomohu.com, to familiarize yourself with their returns/refund policies. Packing slips must accompany returned item (we no longer issue RMA numbers). The product is missing parts or has been damaged due to improper use or installation. The product is not returned with all hardware, manuals, and accessories. The product has been damaged or modified from its original form in a manner not consistent with typical use. No refunds will be given after thirty (30) days from date of invoice. Please allow 7-14 business days for the return and refund process to be completed. If you cannot locate your packing slip, please contact us via email at support@gomohu.com or by phone at 855-446-6648, 8 am - 5 pm EST, M-F about items you would like to return. Include your name, order number and approximate date of purchase for faster service. 1053 E, Whitaker Mill Rd. We want you to be fully satisfied with every item that you purchase directly from Mohu. If you are not satisfied with an item that you have purchased via www.gomohu.com, you may return the item within 30 days of delivery for a full refund of the purchase price, minus the shipping, handling or other additional charges. Please note that the item price and applicable taxes will be refunded. Purchase was made through another reseller. If you cannot locate your packing slip please include your name, order number and approximate date of purchase on a sheet of paper so we are able to locate your information. 1052 E, Whitaker Mill Rd. If you did not purchase your antenna directly from www.gomohu.com please return the merchandise to the original point of purchase. The original point of purchase has your customer information and payment information on file and will handle any returns/exchanges that are needed. Each retailer may have different returns policies so make sure to check. Purchase was made through another reseller or retailer. Please reach out to the location of your purchase, if not gomohu.com, to familiarize yourself with their returns/refund policies. In order to facilitate your exchange we must process it as two separate transactions; a return and a purchase. You would need to place an order for the item you would like to purchase then return the unwanted item for a credit. Any of our Sales and Service team members would be happy to place an order for you or you can visit www.gomohu.com to place your order online. If you cannot locate your packing slip, please include your name, order number and approximate date of purchase for faster service on a sheet of paper. Please note that the customer is responsible for all return shipping charges. Since the AirWave is offered exclusively through Best Buy any returns for refund should be handled by them. Since they are the point of purchase they have sole possession of your customer and payment information. Any returns/refunds need to be directed to Best Buy. Please click the link below for Best Buy's Returns and Exchange Policies. If the antenna was gifted to you it would need to be returned to the point of purchase for a refund or replacement. If the antenna was ordered from Mohu and is returned the credit would be applied to the credit card that was used to place the original order. What is your cut off time for shipping? Orders ship within 24 - 48 hours of being placed. This does not include holidays and weekends. We do not process orders received after 2pm est. What do I do when I think my package is missing? Look for a notice of attempted delivery - generally this is affixed to your front door. See if someone else accepted the delivery. After following these steps if you are not able to locate your package please submit a ticket or call 855-446-6648 and we will investigate further. Who handles your free shipping? The shipping method that we use for our free shipping offer is FedEx Smartpost. FedEx handles the first portion of the delivery, hands the package off to the post office and then the post office will handle the package on its final leg. It generally takes 5 - 7 business days for a package to arrive via FedEx Smartpost. 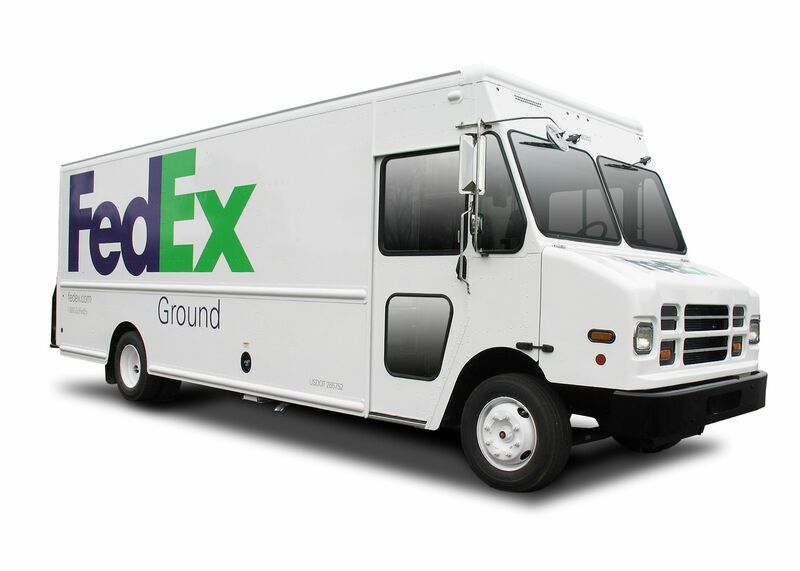 FedEx is the actual carrier providing the service and all packages are tracked through them. Click here to access FedEx tracking page. If you are not able to track your package on www.fedex.com/tracking please reach out to Mohu at support@gomohu.com or call 855-446-6648 (M-F 8am - 5pm EST). Please have your order number available so we can locate your information. Why was my package routed THERE before being delivered to me? What we we've discovered is this, while the routing seems really random, FedEx bases the routes for their packages on economics. FedEx has approximately 25 "strategically placed" hubs that they use to process their SmartPost packages and any SmartPost package has to get routed through one of those hubs for processing...even if it means going the opposite direction of the final destination. It takes a little longer this way, but it also allows retailers to be able to offer free/reduced rate shipping as it keeps the cost low. You wouldn't believe some of the routing that we've seen! Please click the button below to access the FedEx Tracking site. Please allow 3 - 5 weeks for your free gift to arrive. You will find the "enter your promotional code" prompt in the lower left hand corner of your shopping cart. Make sure that you enter in the code exactly as shown. Make sure that you click "apply promo" to apply your promotion to your order or "cancel promo" should you wish to remove it. You will see any discount applied on the lower right hand side in the shopping cart totals. There will also be a "coupon code "_____" was applied at the top of the screen if it is still a current promotion. Make sure to read the fine print on our promotions. Most have expiration dates or merchandise totals that need to be reached before they can be used. If after trying this you are unable to get your promotional/coupon code to work please reach out to us at 855-446-6648 or via email at support@gomohu.com. We are here to help! Please click the button below to be redirected to our order status page. Information we may collect from you through the Mohu website, Mohu products, and Mohu Applications include items such as your name, email address, billing and shipping information, product purchase information, credit card and other payment data, and product registration information. We regularly and automatically upload information from your Mohu Device and your usage. The collected information includes the IP address associated with your Mohu Device, your device type and model, specific identifiers that tell us what content you play, including time and duration played, various quality measures, error logs, software version numbers, and other usage statistics. Usage information uploaded from Mohu Devices is personally identifiable by product serial number. In some instances, serial numbers are associated with personally identifiable information, and we can often tell from the serial number at what store and location you purchased your Mohu Device. If you download Mohu Mobile Applications, we also automatically log information related to your mobile device and network. We may log, for example, your device type, device identifiers, Wi-Fi networking connection data, information about connected Wi-Fi devices, the types and versions of mobile operating system you use, time-stamped logs of data exchanges, and usage statistics. We may use information collected using third party cookies and Web beacons on Mohu Sites and in our emails to deliver Mohu advertising displayed to you on third party sites. We also use cookie information to know when you return to Mohu Sites after visiting these third party sites. We use this information and other information about you to try to understand your interests and show you relevant advertising and information about products and services offered by Mohu and its partners. If you wish to ask for access, correction, or deletion of any of your personal information held by us or a change in the way we use your information, please contact us at: support@gomohu.com. We will use commercially reasonable efforts to respond to your request in a timely manner. However, even if Mohu deletes such personal information from its ‘live’ database, it may still be stored on other redundant databases (including those kept for archival purposes). Mohu uses industry-standard methods of securing its electronic databases of personal information. However, you should know that no company, including Mohu, can fully eliminate security risks associated with personal information. To help protect yourself, please use a strong password, do not use the same passwords to access your Mohu accounts that you use with other accounts or services, and protect your user names and passwords to help prevent others from accessing your accounts and services. A California resident who has provided personal information to a business with whom he/she has established a business relationship for personal, family, or household purposes (a “California Customer”) may request information about whether the business has disclosed personal information to any third parties for the third parties’ direct marketing purposes. In general, if the business has made such a disclosure of personal information, upon receipt of a request by a California Customer, the business is required to provide a list of all third parties to whom personal information was disclosed in the preceding calendar year, as well as a list of the categories of personal information that were disclosed. California Customers may request further information about our compliance with this law by e-mailing support@gomohu.com. Please note that we are required to respond to one request per California Customer each year, and we are not required to respond to requests made by means other than through this e-mail address. Gift Card - Where do I enter? You will find the "Have a Gift Card?" prompt in STEP 5 of the checkout process. This section is called Payment Information. First, click on the "Click here" prompt to access the gift card entry section. Second, enter in the Gift Card exactly as it was provided to you and click "Add Gift Card". Continue with your order as usual. You will see your Gift Card discount applied on the final step in the process which is the "Order Review" section. Make sure that you enter in the Gift Card exactly as shown. Make sure you click "add Gift Card" to apply the discount. Make sure to read the fine print on our Gift Cards. Most have expiration dates or merchandise totals that need to be reached before they can be used. If after trying this you are unable to get your Gift Card code to work please reach out to Mohu at 855-446-6648 or via email at support@gomohu.com. We are here to help! You can place an order with us one of three ways. Visit www.gomohu.com to place your order online. The site is available 24 hours for shopping! Call our Sales and Service center Monday through Friday 8am to 5pm EST and we would be happy to place an order for you! You can also leave a message at 855-446-6648 or send an email to support@gomohu.com and leave a message that says "call me to place an order for _____" and we will! Make sure to provide your name and phone number. Where can I purchase a Mohu antenna locally? Our antennas are sold at most Wal-Mart, Best Buy and Fry's. Please contact your local store for availability information. We also are available at the following online retailers in the event you are not near a physical location. We are also available to place your order over the phone Monday through Friday 8am - 5pm eastern standard time. Our contact number is 855-446-6648. You can even send us an email at support@gomohu.com with a message that says "please call me to place an order for ____" and we will. Make sure you provide your phone number! NOTE: Some benefits may not be available from all stores. Refer to the store's website and click on the Norton Shopping Guarantee Seal or check your guarantee confirmation to verify benefits details and availability. To receive these benefits, your Shopping Guarantee must be authentic and valid. When making a benefit claim, you and/or the merchant may be required to provide more information in order to authenticate your Shopping Guarantee. All benefit claims must be made within thirty (30) days of the date of purchase in order to keep benefits, even if all the terms of sale are not yet fulfilled. Once a valid claim is made, coverage applies until the claim is resolved. There is no additional cost for these benefits. This is not a subscription service, you will not be billed for this and there is nothing for you to cancel. The benefit expires 30 days from the date of purchase. BuySAFE in alliance with Symantec Corporation has created the Norton Shopping Guarantee program. A merchant that uses Norton Shopping Guarantee is certified to be reliable and stable and enabled to provide the Shopping Guarantee program on their website. 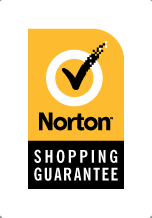 Wherever you see Norton Shopping Guarantee, you can feel confident that you're visiting one of the best merchants on the web and that your purchase will be Guaranteed. Who operates the Norton Shopping Guarantee program? All operations of the Norton Shopping Guarantee, including sales, support and claims, are performed by buySAFE, and references to "us," "our" or "we" refer to solely to buySAFE and its subsidiaries. Norton and the Checkmark logo are registered trademarks of Symantec Corporation and licensed to buySAFE. Identity theft is the theft of personal information, such as name, credit card number, bank account, social security number, or other method of identification which in turn is utilized for illegal activity. The most common illegal activities that identity thieves use stolen information for are: redirecting or opening a bank or credit card account, making unauthorized purchases, setting up services, securing loans, entering into a contract or committing a crime. The Norton Shopping Guarantee Identity Theft Protection provides you with benefits that you may need to protect and/or restore your identity and good name. The Norton Shopping Guarantee Identity Theft Protection Service will not be applicable for activities such as email spam, mailing address spam, or misuse of your personal information online (such as misrepresentation of your name, likeness, profile, or other information). Each time you receive a Norton Shopping Guarantee, when purchasing from a Norton Shopping Guarantee merchant, you automatically receive complimentary Identity Theft Protection for 30 days. You can receive this additional benefit only once in any 30 day period. During the 30 day eligibility period, you can activate this benefit at any time by accessing the Norton Shopping Guarantee dashboard (You will be required to create a Norton Shopping Guarantee account to claim this benefit). The Identity Theft Protection terms and benefits vary for US residents and non-US residents. The Norton Shopping Guarantee Identity Theft Protection benefits provide US residents access to resources and assistance from dedicated ID theft specialists who will help you to restore your name and credit as quickly as possible. These benefits also provide US residents up to $10,000 financial reimbursement of costs attributed to identity theft. If you become a victim of identity theft, you are assigned a dedicated ID Recovery Specialist who assists to restore your name and credit as quickly as possible. Sends fraud alert notifications to all three national credit repositories, the Social Security Administration, FTC, US Postal Service, affected credit card companies, financial institutions, and more! You have two options with the dedicated identity restoration resources. Without additional cost, you can select the option that is best for you. The Enhanced Restoration Option requires that you sign a Limited Power of Attorney. If you prefer not to provide a Limited Power of Attorney, you are still entitled to the Basic Counselling Services that provide you with the information you will need to take action independently. Notary and certified mailing charges for completing or delivering affidavits and related documents. Financial Reimbursement is underwritten by American Bankers Insurance Company of Florida, in Minnesota by American Security Insurance Company pursuant to an identity fraud blanket or group policy issued to Consumer Assist Network Association, Inc.
American Bankers Insurance Company of Florida, American Security Insurance Company and Consumer Assist Network Association, Inc. are all Assurant Specialty Property companies. IMPORTANT: If you suspect your identity or personal information has been compromised, you must report it immediately to your local law enforcement agency and all potentially affected financial organizations. During the 30 day eligibility period, you can activate this benefit at any time by accessing the Norton Shopping Guarantee dashboard (You will be required to create a Norton Shopping Guarantee account to claim this benefit). The Norton Shopping Guarantee Identity Theft Protection Service provides non-US residents access to resources and assistance from dedicated ID theft specialists who will help you hire experts, lawyers, investigators, consultants, and other professional services to help recover your identity and guide you through the identity recovery process. In order for Norton Shopping Guarantee to provide this service, professional identity restoration services must be commercially available, and comply with laws and regulations, in your country of residence. The Norton Shopping Guarantee provides access to resources and services that help online buyers protect, prevent, and restore their identity from theft. Comprehensive educative and preventive measures resources to online buyers. Dedicated identity protection assistance to answer your questions and concerns if you suspect your identity has been compromised or misused. Personalized assistance to walk you through the various steps needed to contact the necessary government, financial, and non-financial organizations to check if your identity has been compromised and, if appropriate, help you limit the consequences of identity misuse. Investigators, case managers and other third-party business providers that help you restore your good name and identity, recover your financial losses due to a stolen identity event, act on your behalf with creditors and financial institutions, and help prepare needed documents on your behalf. Lawyers and other third party legal professionals, to represent you or your legal representative in case of a stolen identity, including the defense of a suit brought against you, the removal of any civil judgment wrongfully entered against you, legal assistance at an audit or hearing conducted by a governmental agency, legal assistance in challenging the accuracy of your consumer credit report, and the defense of any criminal charges brought against you arising from the actions of a third party using your personal identity. IMPORTANT: If you suspect your identity or personal information has been compromised, you must report it immediately to your local law enforcement agency and all potentially affected financial organizations. At any time during the validity period of a Norton Shopping Guarantee (30 days from guarantee issuance), you can register or log in to the Norton Shopping Guarantee Buyer Service Center to utilize the Service. You must be the buyer of record of a valid Norton Shopping Guarantee issued during the last 30 days. ID Theft protection and prevention services, resources and contact information are available from the Norton Shopping Guarantee Buyer Service Center. Simply follow the instructions to access our Identity Protection Resources Center. We may, at our sole discretion, choose to hire professional identity restoration services to aid you in the recovery of your identity. Professional identity restoration services must be commercially available in and comply with all laws and regulations in your country of residence. If you want to utilize the Norton Shopping Guarantee's remediation services, you must first make all reasonable efforts to mitigate any further problems: Notify your local law enforcement agency, alert your financial institutions, banks, credit card issuers, etc. You must provide suitable documentation showing that you have already notified your local law enforcement agency, and that the agency has officially recorded your complaint. We reserve the right to request any information, document and/or official records from you, local law enforcement agencies or financial institutions to verify that your identity has been compromised and that the Services requested are applicable. We reserve the right to request any information, document and official records from you, local law enforcement agencies or financial institutions to determine if a professional identity restoration service is commercially available in your country of residence. In the course of the Service provided, you must at all times provide all assistance and cooperation required in the investigation, determination and remediation services provided to you. Failure to provide assistance will result in forfeiture of your rights to use the Service provided. Service will not be provided, or will stop, if you willingly participated in, or directed dishonest, criminal, malicious or fraudulent acts in relation with your claim. Service will not be provided if you fail to provide appropriate documentation, official records or any other supporting materials that we deem required to provide the Service. Total value of the Service provided has a lifetime limit of US $10,000. (Or the corresponding (exchange-rate adjusted) amount in the currency of the country where restoration services are performed). We reserve the right to bill hours against the lifetime total value limit. We reserve the right to refuse Service requests it deems inappropriate or excessive in order to restore your identity. We reserve the right to select any identity restoration service providers it chooses to employ. The Identity Theft Protection Service is limited to identity restoration and remediation services and excludes any other services you may require resulting from a stolen identity event. The Identity Theft Protection Service provided by Norton Shopping Guarantee is NOT insurance of any kind and does NOT include financial reimbursement or indemnity payments for losses incurred by you in connection with your stolen identity. You understand and acknowledge that there are many variables impacting the Service as described herein and that we provide no guarantee or representation that the Service will achieve any desired result - e.g., identity protection, identity theft prevention, and/or identity restoration and/or recovery. There is a risk that the Service will not achieve the desired result, and by using the Service, you agree to assume this risk. In no event shall we or our affiliates, employees, agents, etc. be liable for any claims, losses, fines, penalties, or damages whatsoever (including but not limited to punitive, special, direct, indirect, exemplary or consequential damages, or loss of use, data or profits) without regard to the form of any action, including but not limited to contract and tort actions (including libel), arising out of or in connection with the use of the Service as described herein. The Purchase Guarantee ensures that if the merchant does not perform according to its terms of sale, and you (the buyer) Report a Problem Transaction within 30 days from the date of purchase, and, after exhausting the Dispute Resolution Process via Report a Problem Transaction (Available in your Norton Shopping Guarantee dashboard), there is no resolution, then we will, in our discretion, make a determination as to whether the terms of sale were fulfilled. If the claim is resolved in your (the buyer's) favor, we will reimburse you (the customer) the amount of the direct loss, not to exceed $1,000. The terms of sale, as stated on the merchant's website, are guaranteed for the full value of your purchase (excluding shipping & handling and taxes) and up to a maximum of $1,000. You must complete the Report a Problem Transaction form within 30 days of the close of your Shopping Guarantee transaction to initiate online dispute resolution. You may be asked to register in order to Report a Problem Transaction. The Purchase Guarantee is null and void for any problem transactions reported after 30 days from your date of purchase. All Reported Problems must be made in English. Your acceptance of the item(s) purchased terminates the Purchase Guarantee, unless defect was not discoverable or known at the time of acceptance, but in no circumstances will the Purchase Guarantee extend beyond 30 days from the purchase date. Any litigation related to the Purchase Guarantee provided must be commenced within one year from the purchase date, except where the applicable period of limitation required by law is longer, then such period shall be the shortest allowable by law. We reserve the right to require more information from you and/or the merchant to authenticate and process your purchase guarantee claim. What is the Lowest Price Guarantee? If within 30 days of the date you purchase a product from a Shopping Guarantee merchant, you see the exact same product advertised on the same merchant's website at a lower published retail price, we will refund you the difference. It's that simple! Please check the eligibility rules and conditions below before making a claim. Note: Items purchased through a bundling arrangement, specific promotion, or coupon are not eligible for the Lowest Price Guarantee. To get paid for the published retail price difference, send your Shopping Guarantee number, your order confirmation email and a proof of the lower price advertised on the website, and we will send you a check for the price difference (See more details for claim process below). Some terms and conditions apply, see below. Each time you purchase from a Shopping Guarantee merchant, you automatically receive the Lowest Price Guarantee benefits for 30 days. You must keep your guarantee number (displayed in the order confirmation page of the merchant website immediately after your purchase and on the Shopping Guarantee Certificate of Guarantee email typically sent shortly after your purchase). NOTE: This benefit may not be available from all stores. Refer to the store's website and click on the Norton Shopping Guarantee Seal or check your guarantee confirmation to verify the Lowest Price Guarantee benefit details and availability. You can claim a Lowest Price Guarantee benefit at any time within 30 days of your purchase, if the published retail price of the item you purchased has dropped. Your Shopping Guarantee number and your email address used during the transaction. The Shopping Guarantee number is provided to you on the order confirmation page. You can also access a record of your guaranteed purchase when you login to your Shopping Guarantee account (you will need to register first). Website where purchase was made, date of purchase, amount, description of your purchase and item SKU (This information is typically included in the purchase confirmation email you received from the merchant). We recommend you send us a screenshot and the URL of the same item you purchased, showing the new price (We do not accept printed materials, or emails as proof of lower price). All claims must be made by sending an email to NortonShoppingPriceGuarantee@symantec.com Our staff will verify your claim within 10 working days. We reserve the right to contact you and the merchant in order to get more information. a.You (the	buyer) must meet eligibility requirements: Each time you (the buyer) receives a Guarantee when purchasing from a Shopping Guarantee merchant, you automatically receive the Lowest Price Guarantee benefits for 30 days (NOTE: This benefit may not be available from all stores. Refer to the store's website and click on the Norton Shopping Guarantee Seal or check your guarantee confirmation to verify the Lowest Price Guarantee benefit details and availability). You must keep the guarantee number displayed in the order confirmation page of the merchant website. You can claim a Lowest Price Guarantee benefit at any time within 30 days of your purchase if the published retail price of the item you purchased has dropped. For a claim to be valid, the Shopping Guarantee must be valid and you must be a registered Shopping Guarantee user (Click here to register). b. You (the buyer) must make a claim following the instructions above in "CLAIM". We will review such claim for completeness and legitimacy, and, if approved, will make payment directly to you. v. The price reduction that is the subject of the claim must pertain to the same item SKU being offered for sale on the same merchant's website, on the same merchant terms and conditions. vi. The Lowest Price Guarantee will not apply to any item purchased for which a volume discount, a coupon, a bundling arrangement (eg: two-for-one), a customer rebate, an inventory liquidation, "Closeout Sale", "going out of business", "free offer", "CyberMonday", "Deal of the Day" promotion or other similar special promotional pricing mechanism is applied to the original purchase. viii. No claims may arise from a currency fluctuation; all claims will be reviewed in US dollar terms as priced on the merchant website. ix. The Lowest Price Guarantee will not apply to partial, incomplete or cancelled orders, or to any order that is otherwise disputed by either party. x. Items not eligible for a Lowest Price Guarantee are: one-of-a kind items (including antiques, artwork, rare coins and furs); limited edition items; going-out-of-business sale items; services and additional costs (such as installation charges, warranties, shipping, or memberships); used, altered, rebuilt and refurbished items; custom-built items; land and buildings; negotiable instruments (such as promissory notes, stamps and travelers checks); items provided under a leasing arrangement, cash and its equivalent. Normally, items that do not have a standard SKU will not be eligible for Price Guarantee. xi. For ticket purchases, such as sporting events, shows, concerts, etc., the price reduction subject to claim must be for the same; date and time, show, venue, quantity of tickets and section. Seats must be in the same section and in the same row or lower. xii. We will be the final arbiter of all claims under the Lowest Price Guarantee, and all claim determinations will be final. How do I activate my Norton Shopping benefits? You will need to save the Norton Shopping Guarantee number, displayed on the order confirmation page of the merchant website immediately after your purchase. The Guarantee number is also included in the Certificate of Guarantee email sent to you following your purchase. Note, if you do not wish to receive the Certificate of Guarantee email, you may opt-out. You will need to register with the Norton Shopping Guarantee before reporting a problem or claiming any of the benefits. The Identity Theft Protection benefit is not activated automatically: You need to register within 30 days of your eligible purchase. Visit Norton Shopping Guarantee to register. The Purchase Guarantee is automatic. If you have a problem with your transaction within 30 days of your purchase, visit Norton Shopping Guarantee to make a benefit claim. For Lowest Price Guarantee benefit claims, if within 30 days of the date of your purchase you see the exact same product advertised on the same Shopping Guarantee merchant's website at a lower published retail price, you will receive a refund for the difference. Note: Items purchased through specific promotions, bundling arrangements, or coupons are not eligible for the Lowest Price Guarantee. How can I contact a Norton Shopping Guarantee specialist? How do I register my product with Mohu? To register your product please follow the link below.